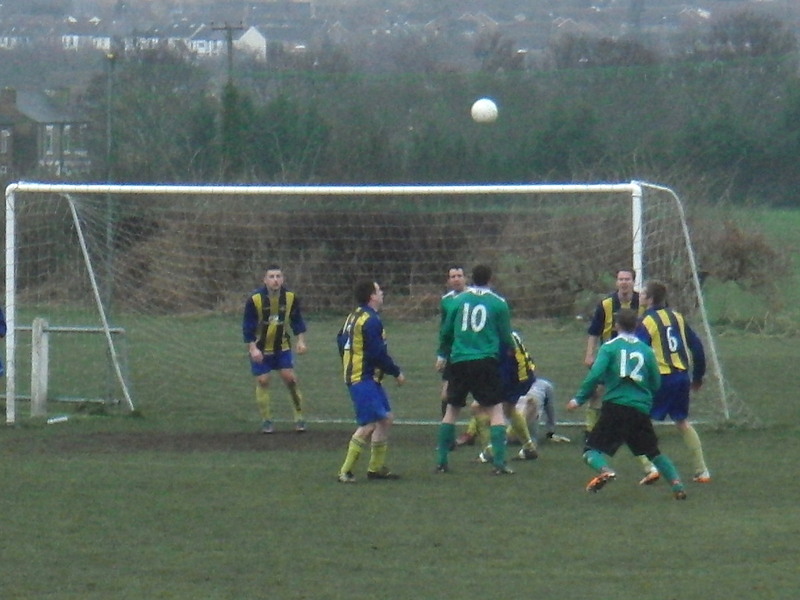 2 = Hood on the break into the wind. 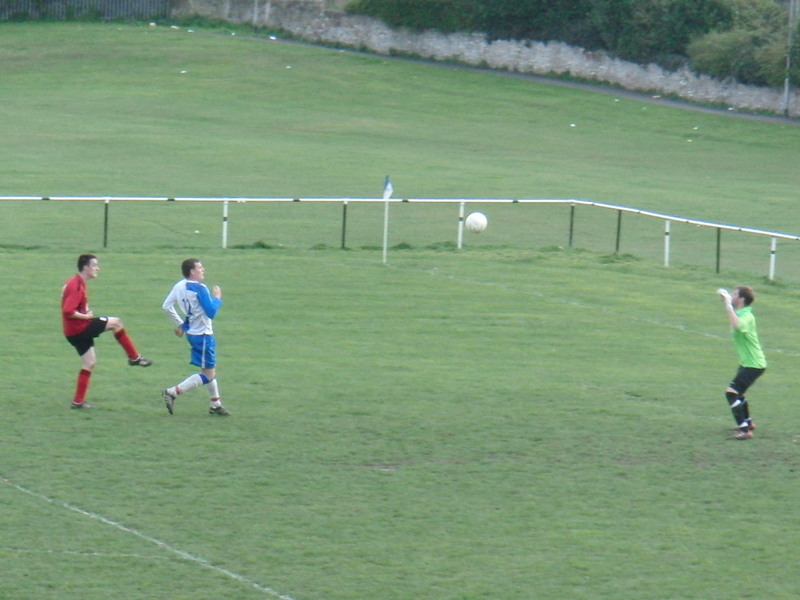 3 = A long ball to Scott Burns. 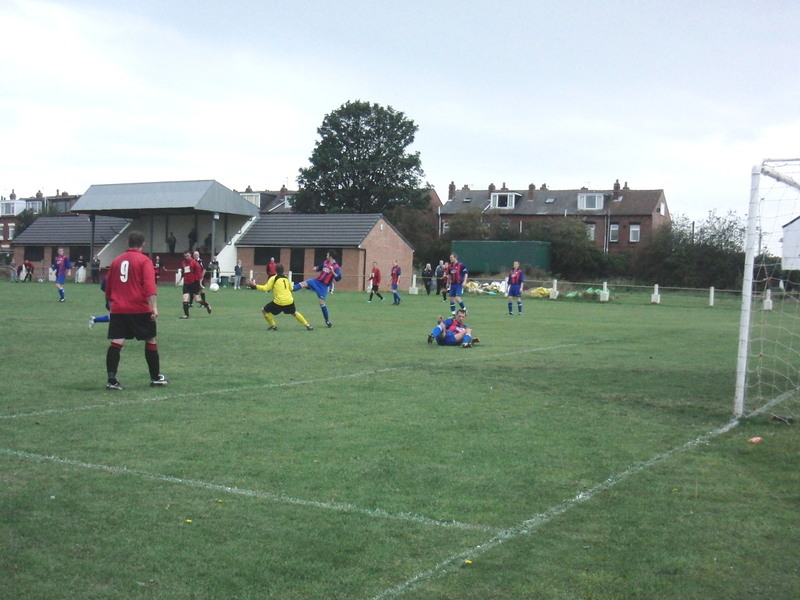 4 = Kris Robertshaw (no 8) scores for Hood. 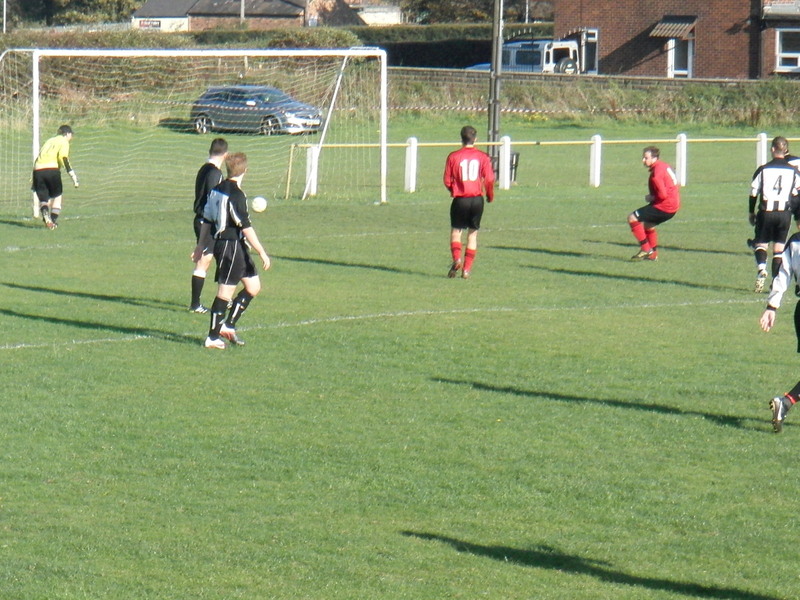 1 = One of the many shots on goal. 2 = Another chance goes begging! 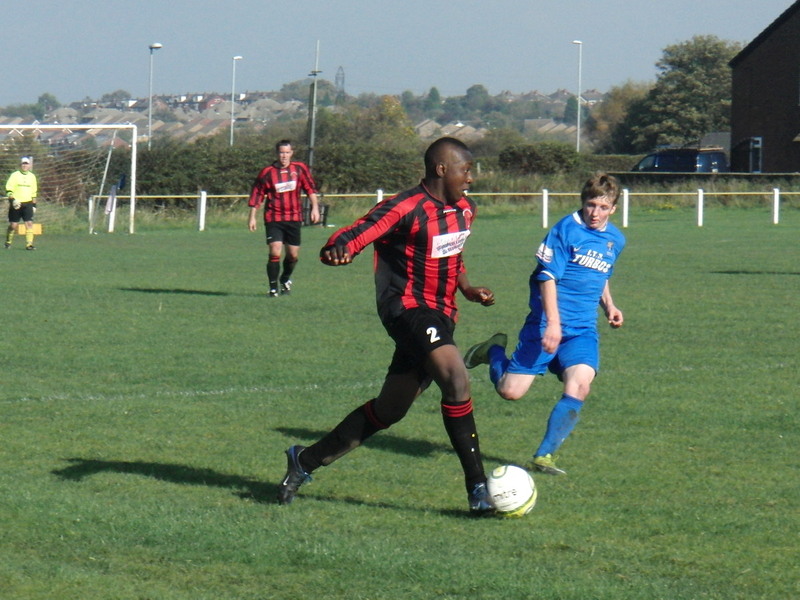 3 = Jordan Stafford ball control watched by Bertin Boyomo. 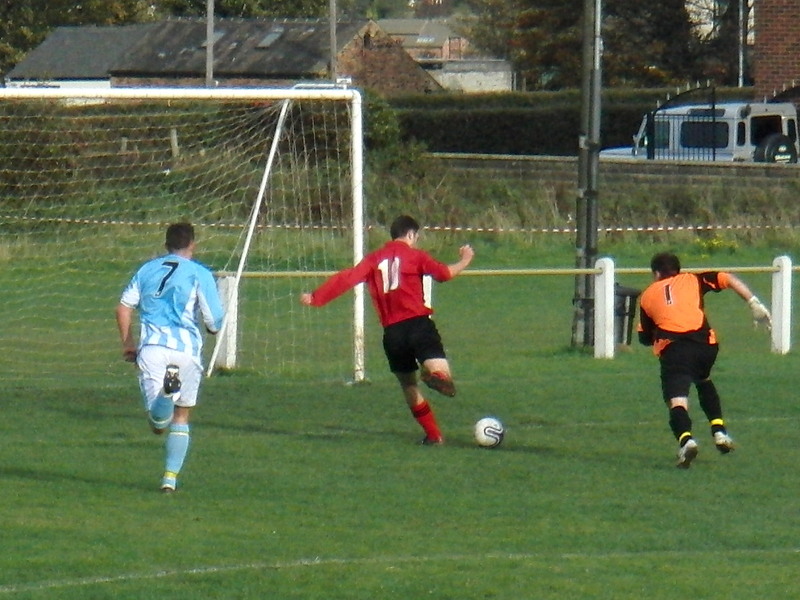 1 = Jordan Stafford on the ball. 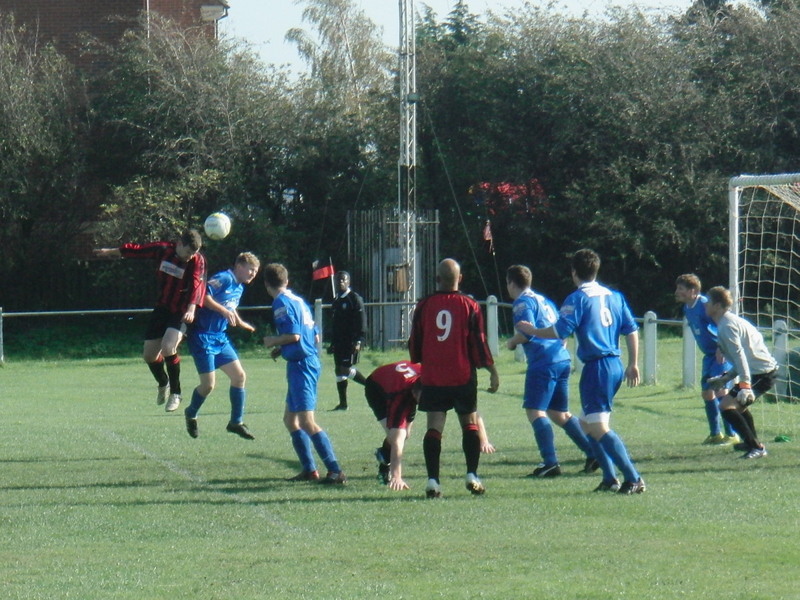 2 = Hood pressing for an equaliser. 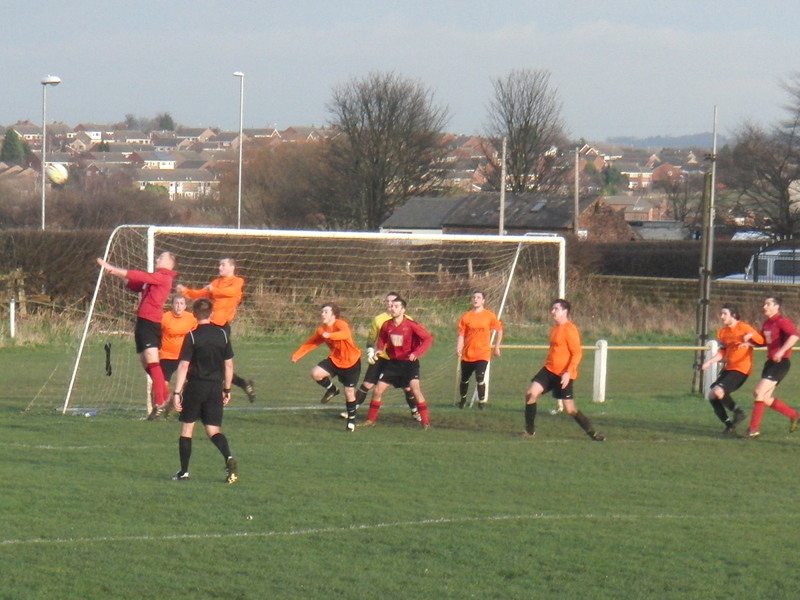 3 = Scott Murgatroyd nearly gets it! 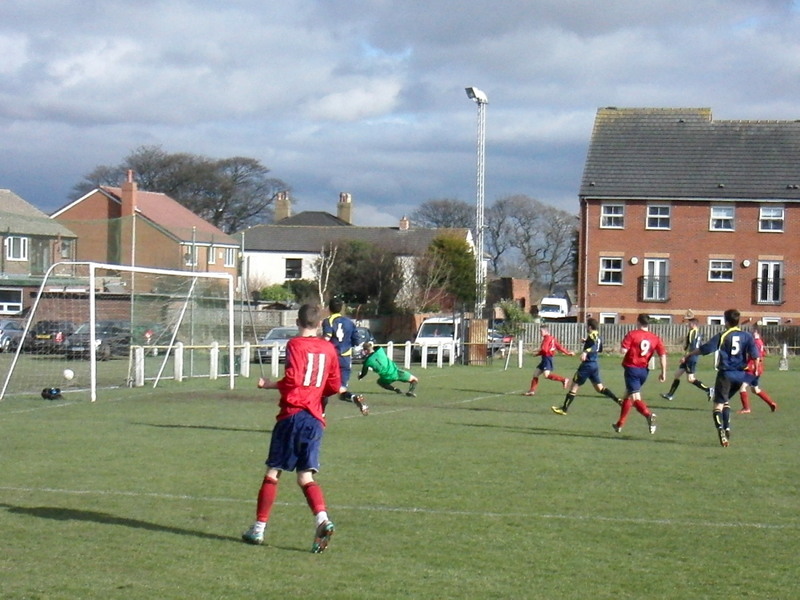 1 = Dale Pickering (far side) scores Hood's first goal. 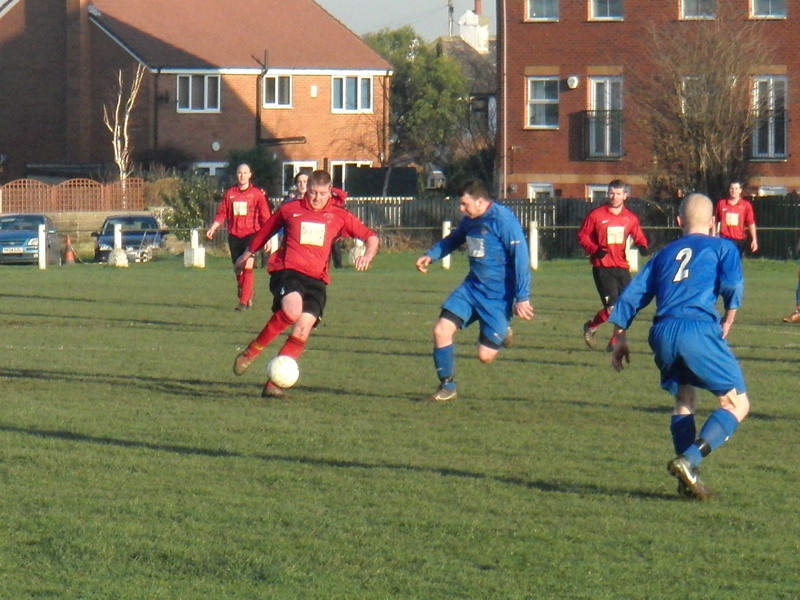 2 = Paul Stafford on the ball. 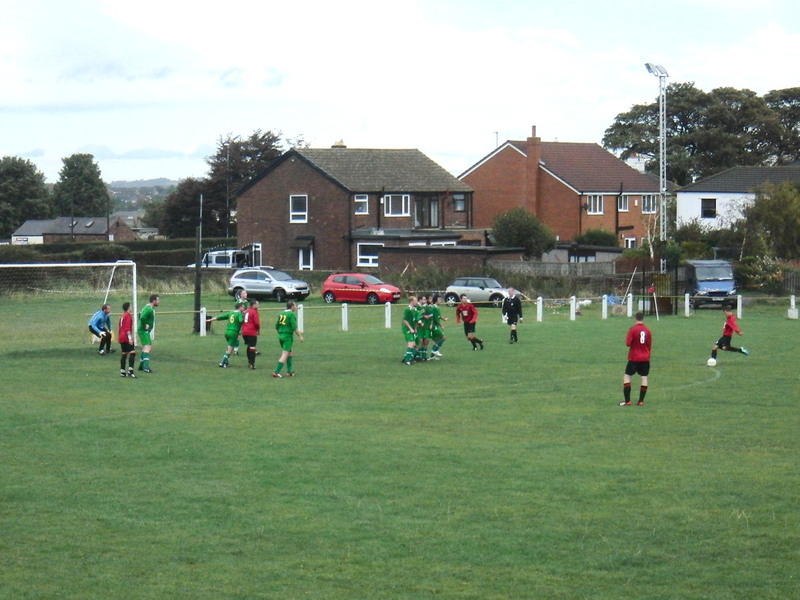 3 = Scott Burns takes a free kick. 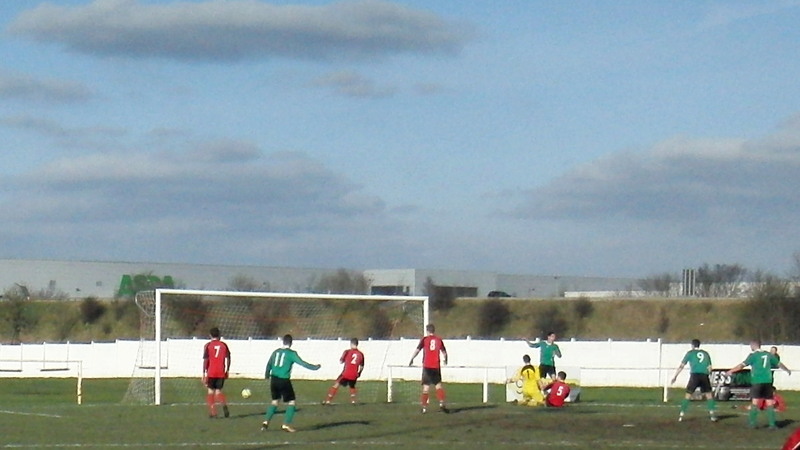 1 = Kris Robertshaw (beside the keeper) scores Hood's opening goal. 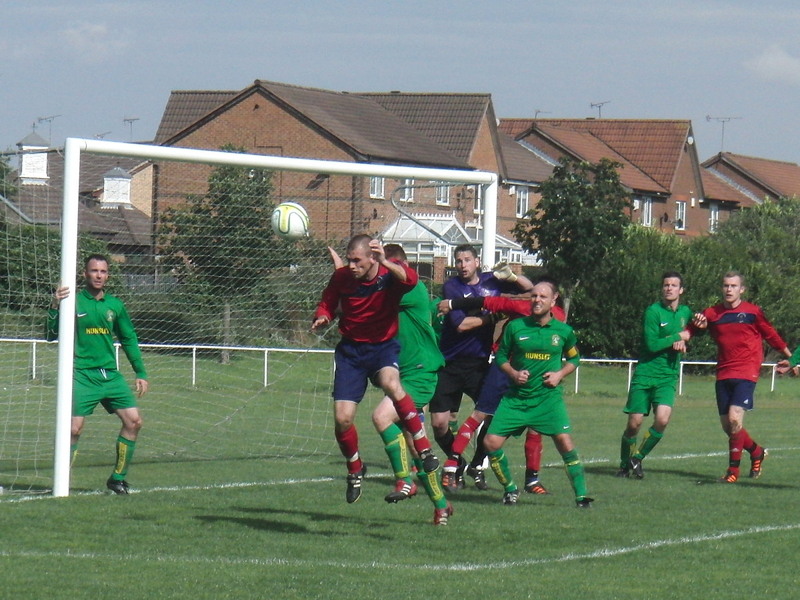 2 = Hood attack from a corner. 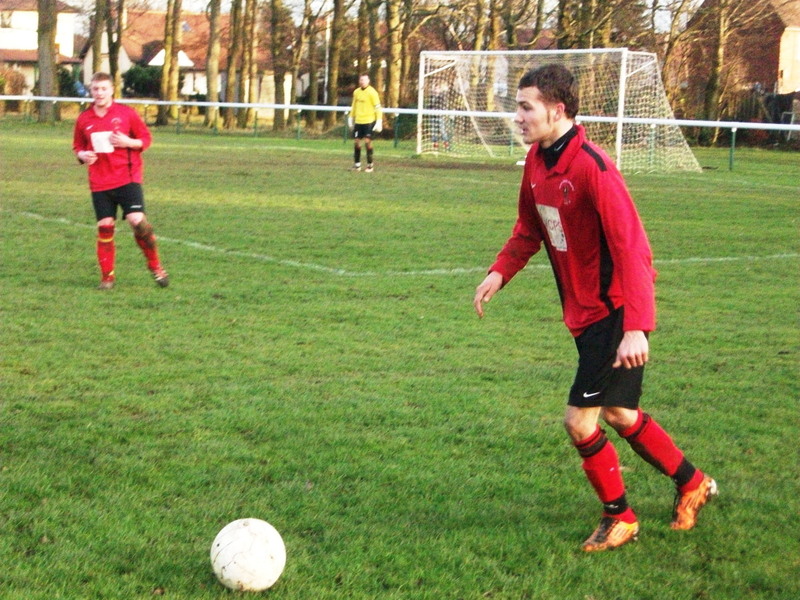 3 = Can Phil Mitchell miss with a goal line header? 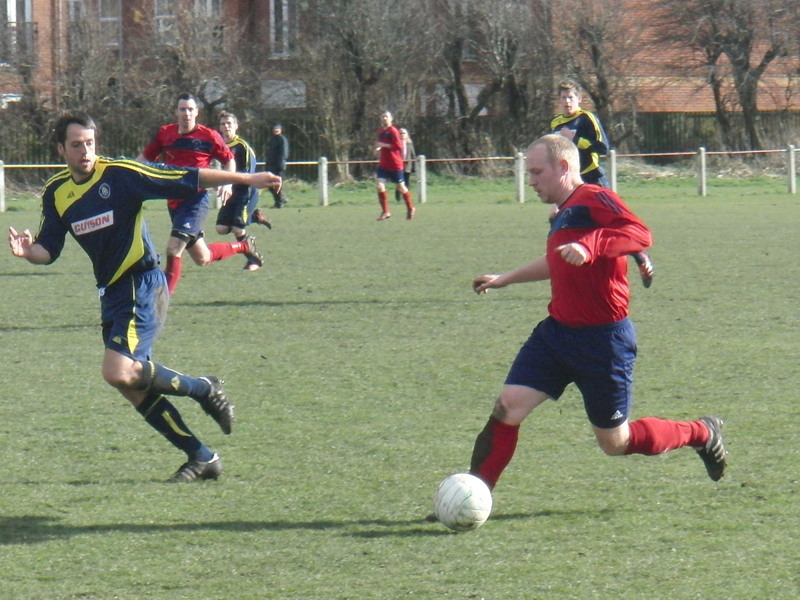 1 = Phil Mitchell on the ball. 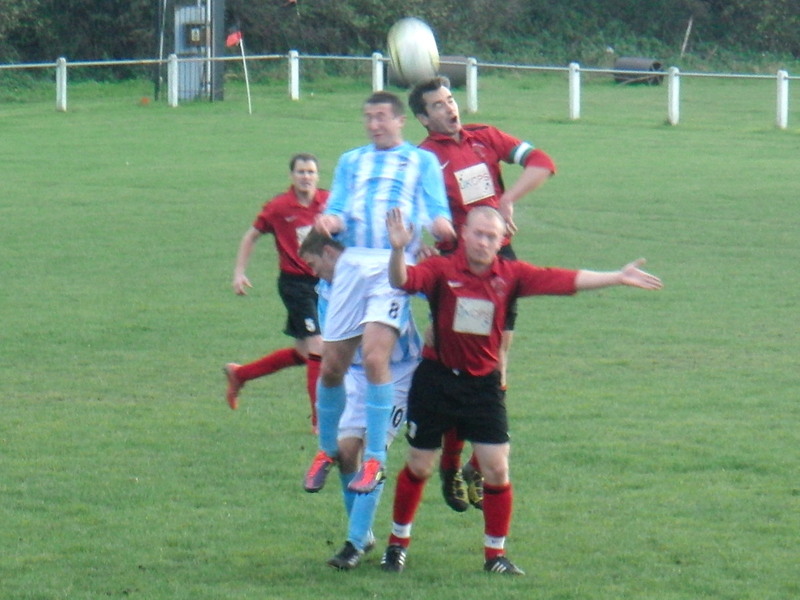 2 = James Finlayson takes on a defender. 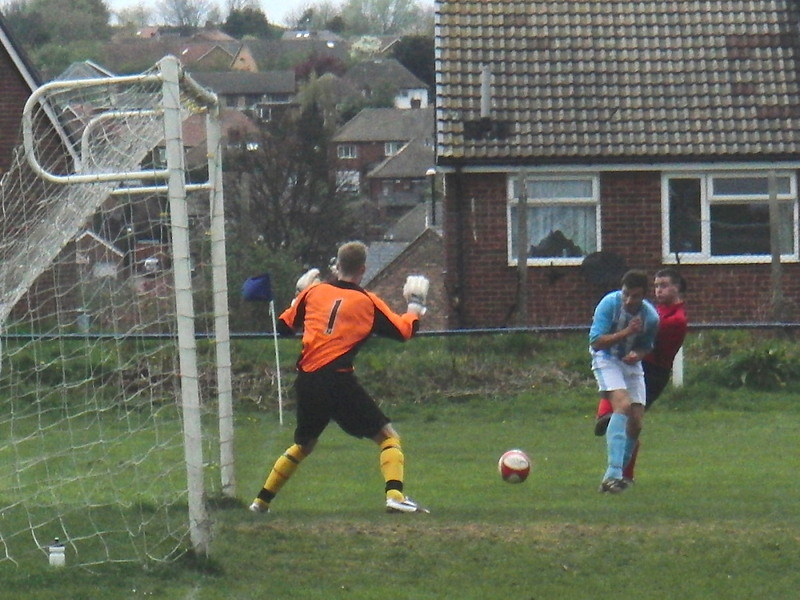 3 = Phil Nitchell challenges the keeper. 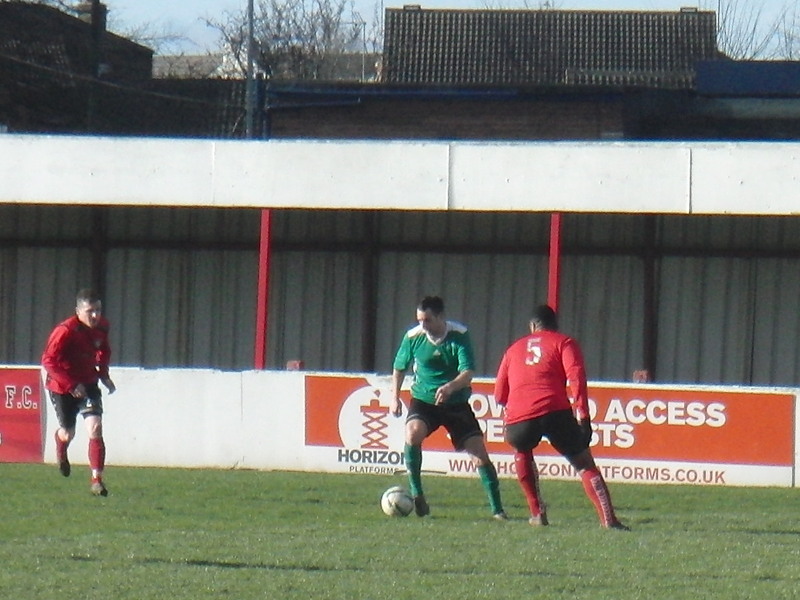 4 = Ryan Bailey attacking down Hood's right hand side. 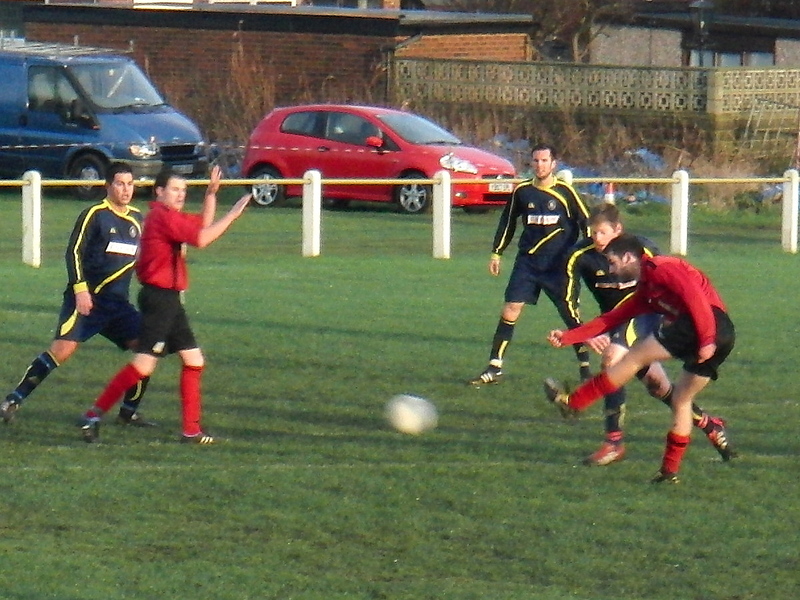 5 = Scott Burns under pressure. 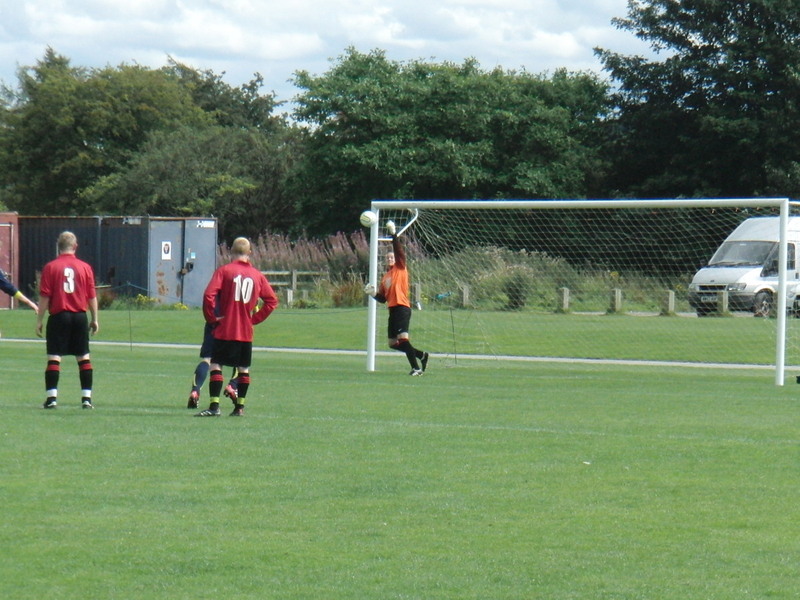 6 = Sub Dale Pickering scores Hood's goal. 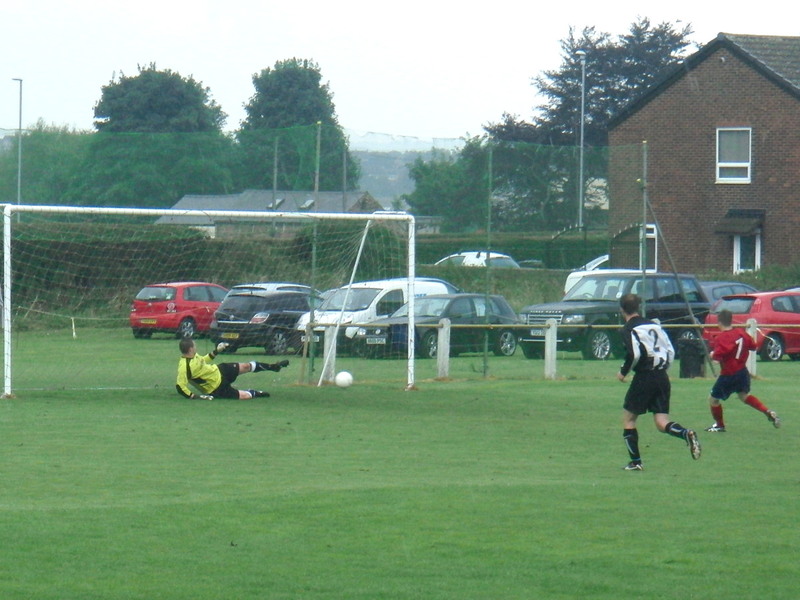 1 = Eliv Drizi saves a penalty! 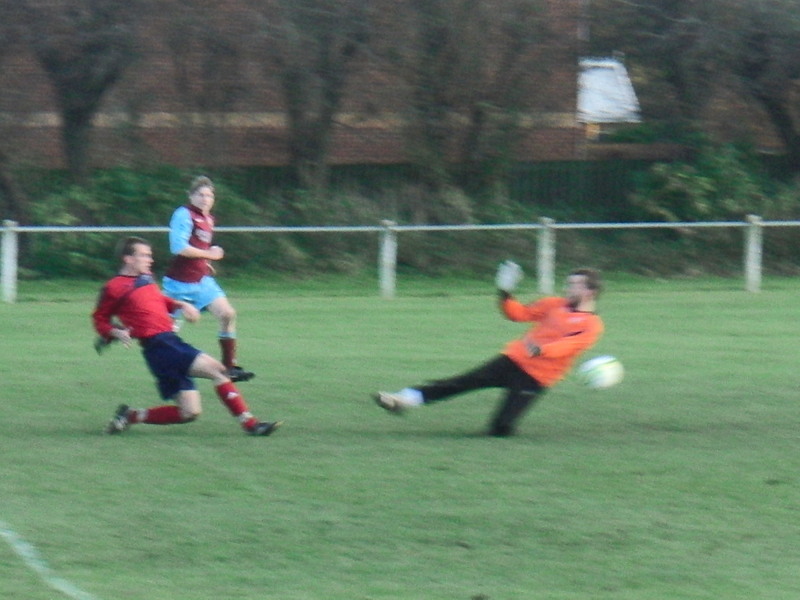 2 = And another good save. 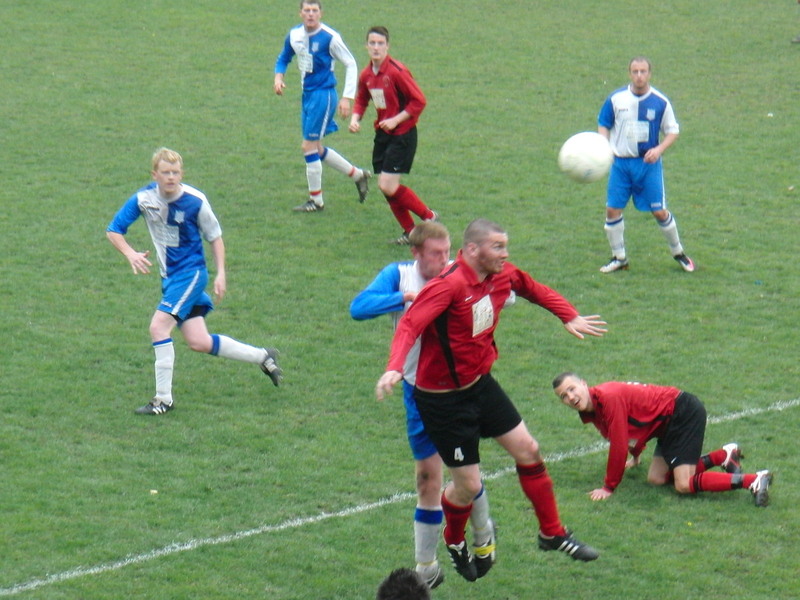 1 = Phil Mitchell looks for a team mate. 2 = Scott Burns has two to beat. 3 = Hood keep pressing. 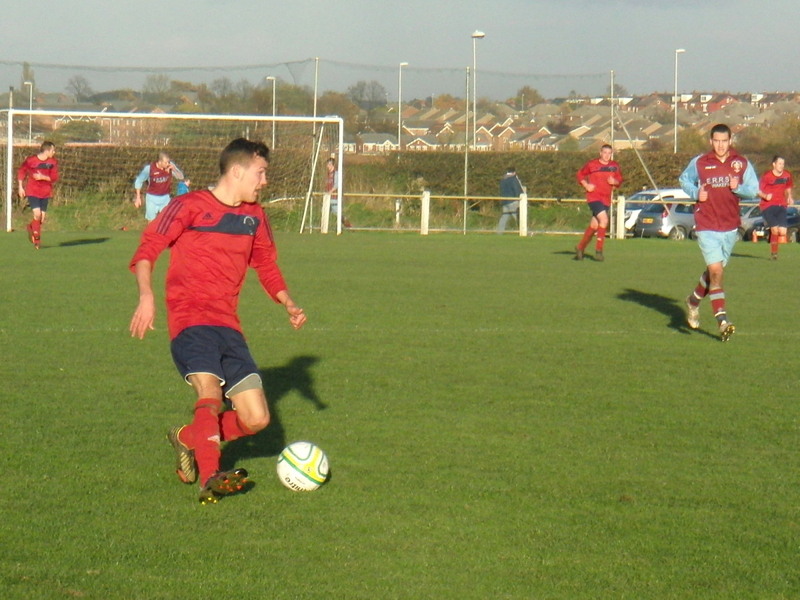 1 = Ash Crowther tries his luck. 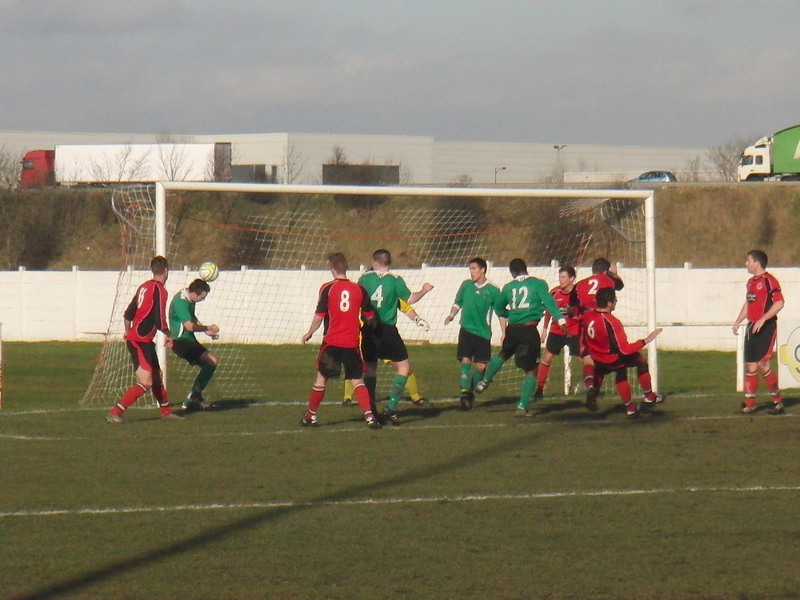 2 = Steve Hancock shoots with defenders closing in. 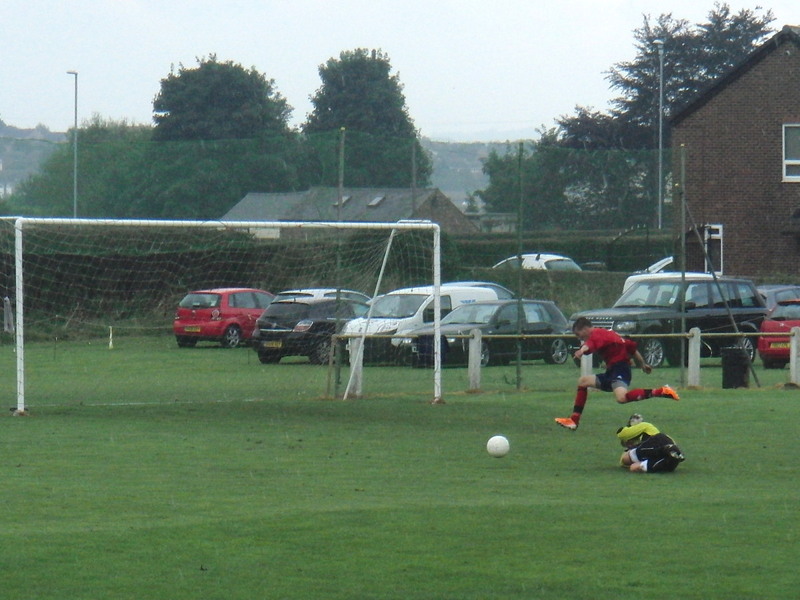 1 = Almost, but Chris Barrow can't keep the penalty out. 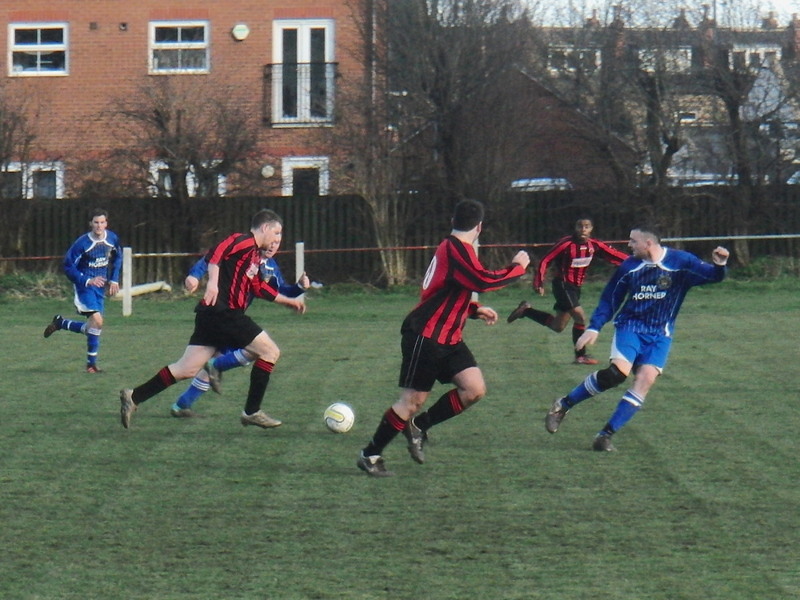 2 = Paul Stafford looks for options. 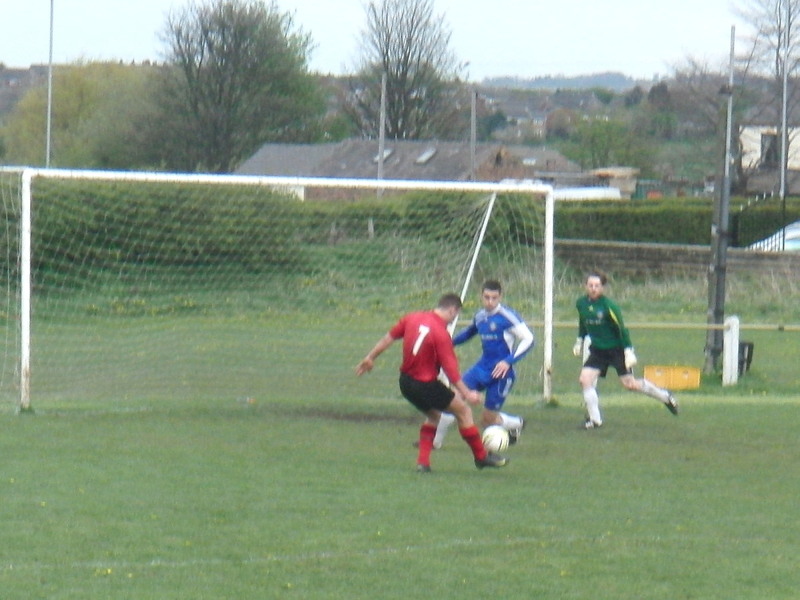 3 = Video clip of Lee Jaques scoring Hood's second goal. 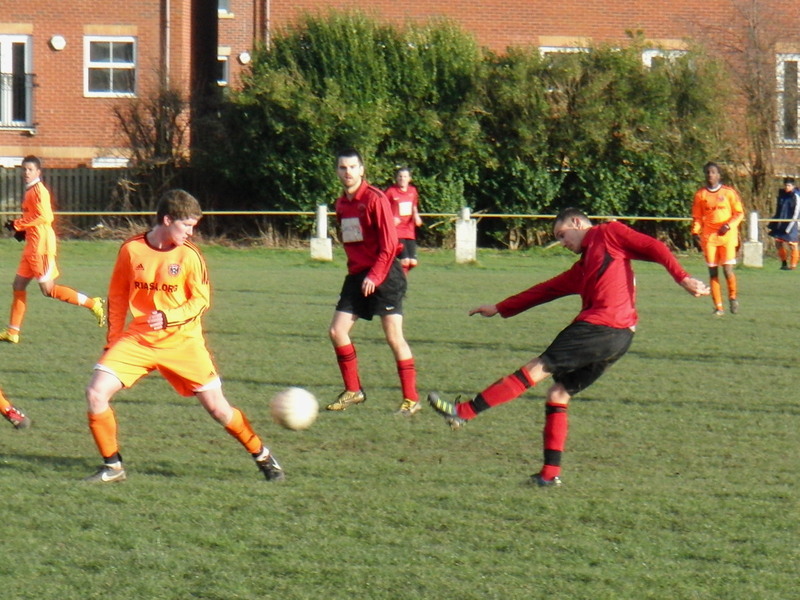 4 = And a dtill photo too. 5 = Hood challenge themselves. 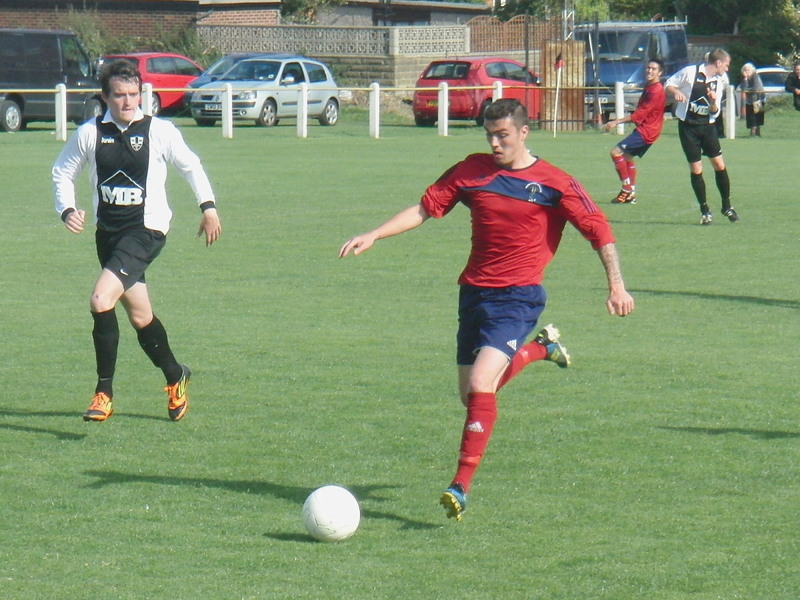 6 = Scott Burns on the ball. 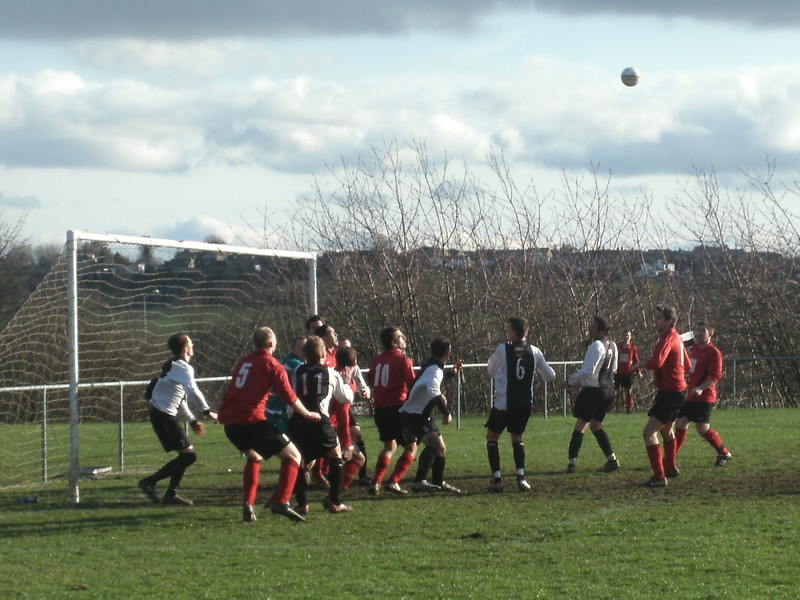 7 = Hood's fifth by Dale Dodsworth. 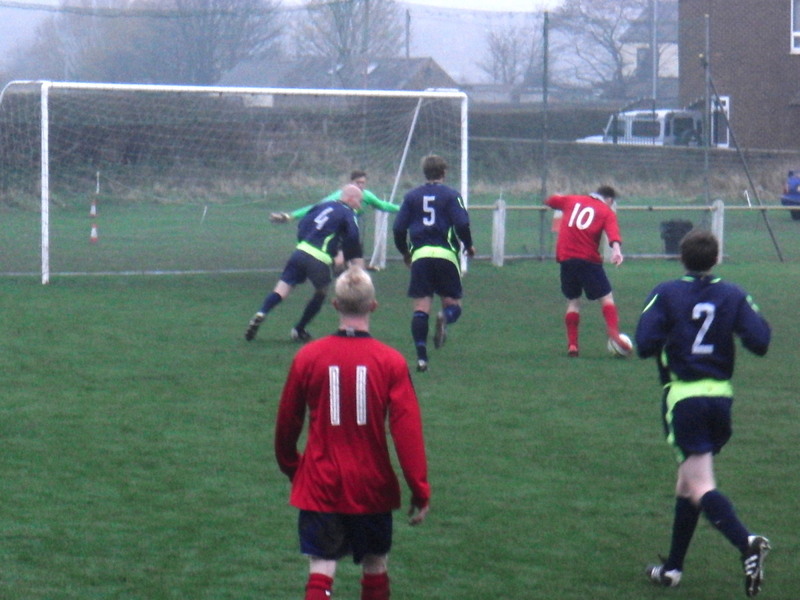 1 = Phil Mitchell with Hood's first goal. 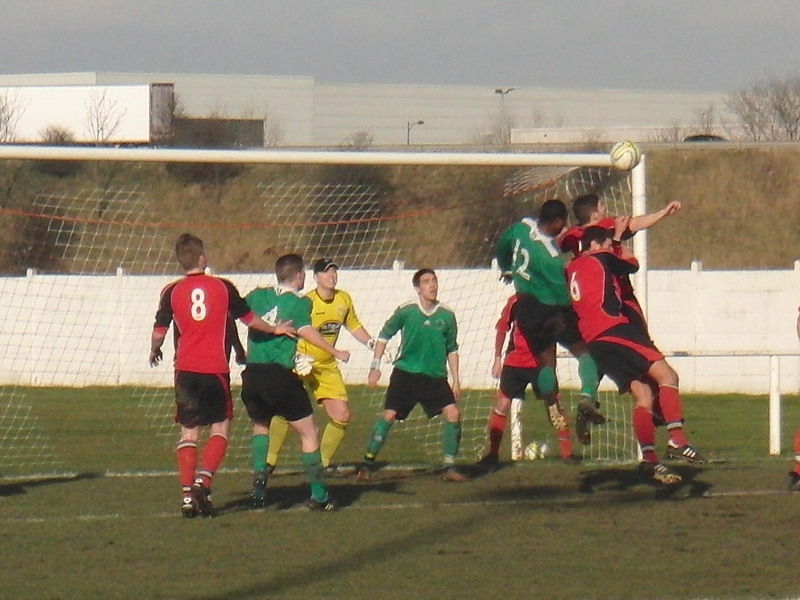 2 = Jay Davis lets fly for the third goal. 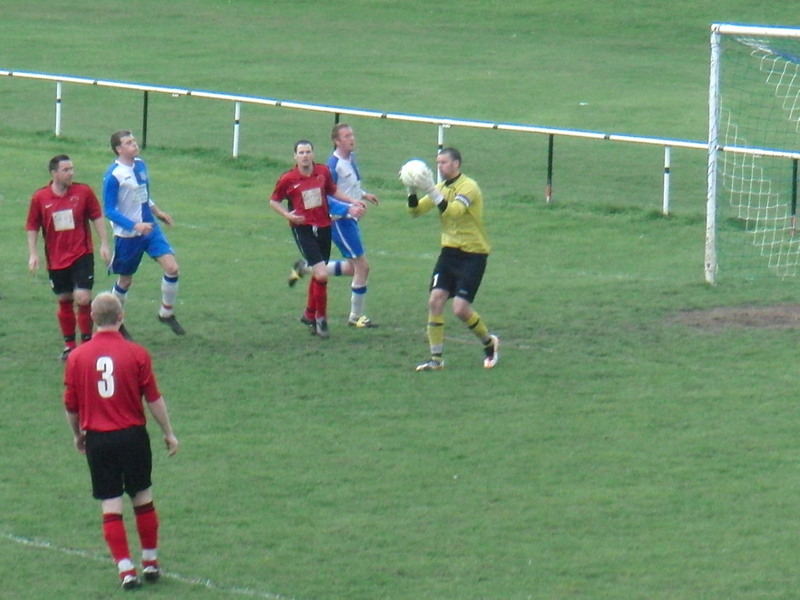 3 = Scott Burns turns a defender. 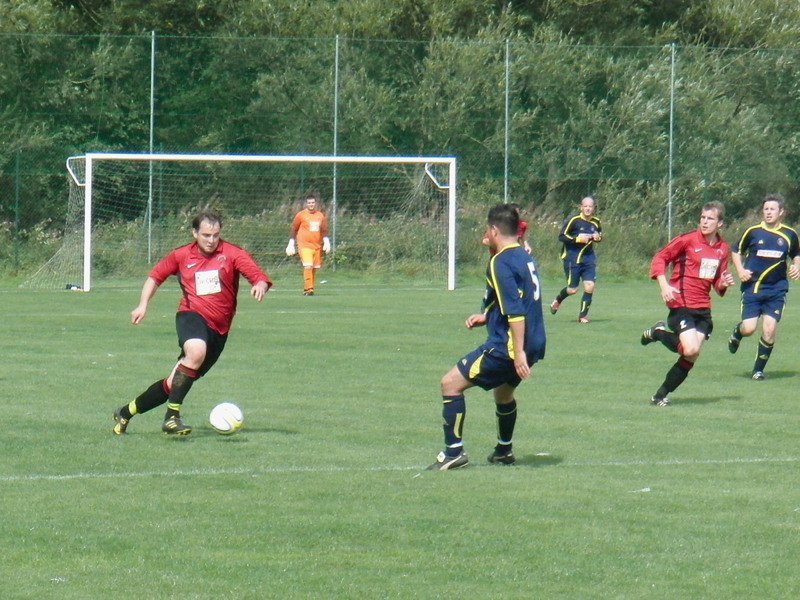 4 = Another good effort. 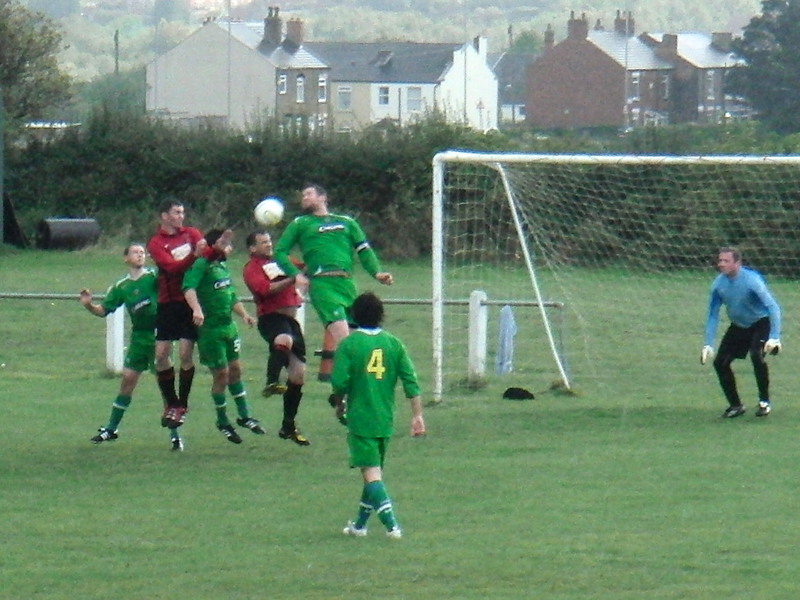 1 = Paul Smith tries his luck. 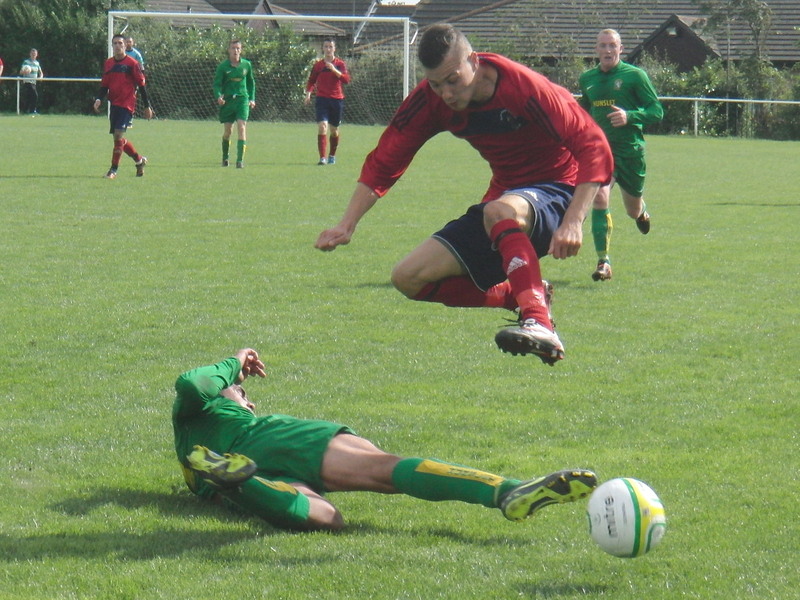 2 = Ryan Bailey takes on a defender. 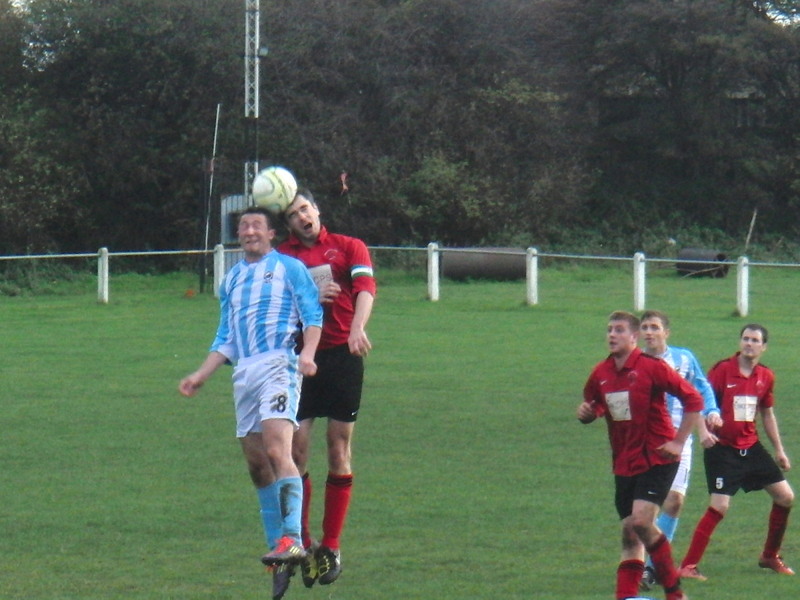 3 = Tom Carter with a header. 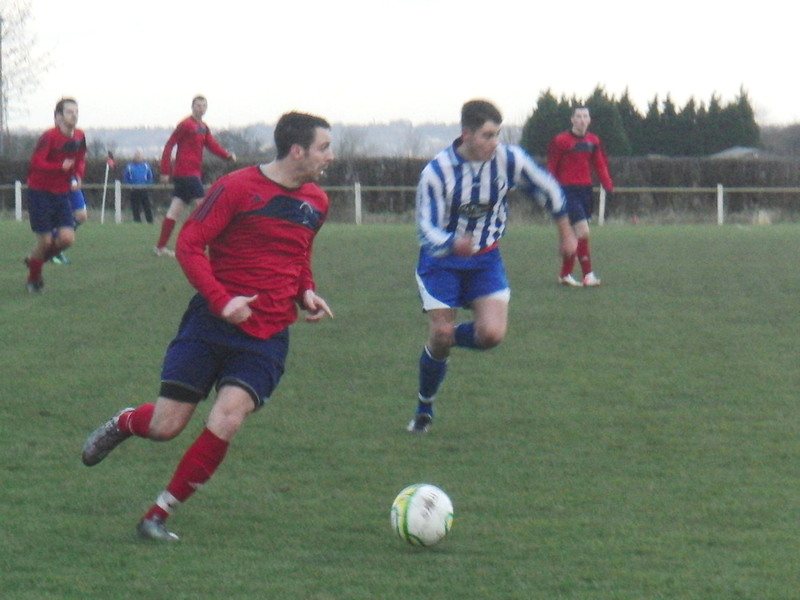 1 = Lee Harris on the ball. 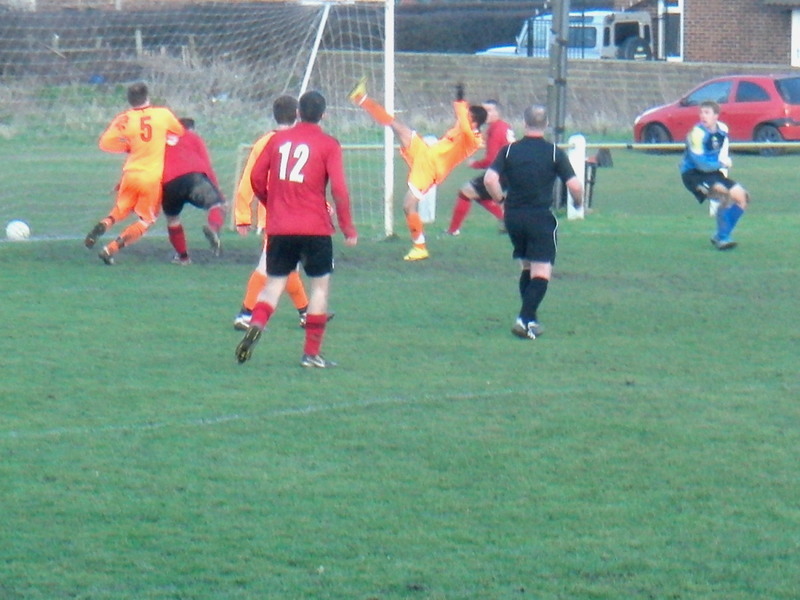 2 = Jay Davis scores Hood's first goal with a diving header. 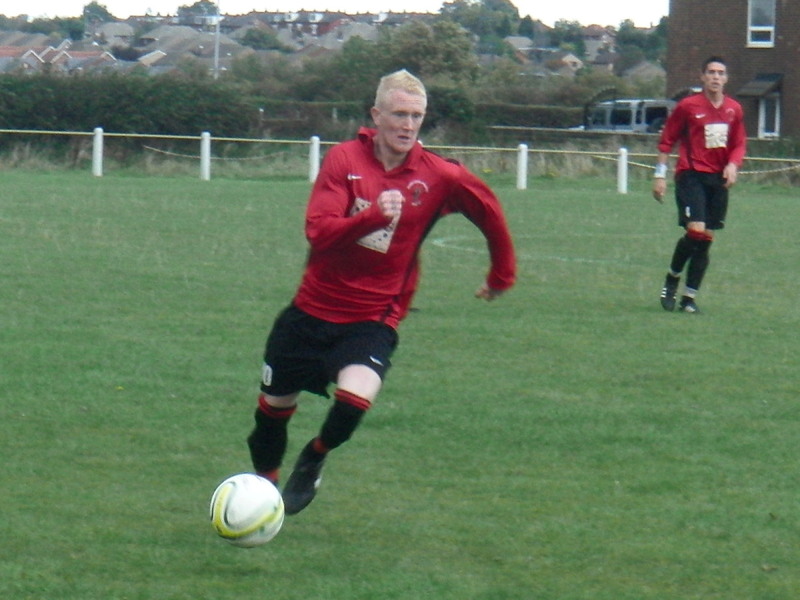 3 = Dale Dodsworth pulls the trigger. 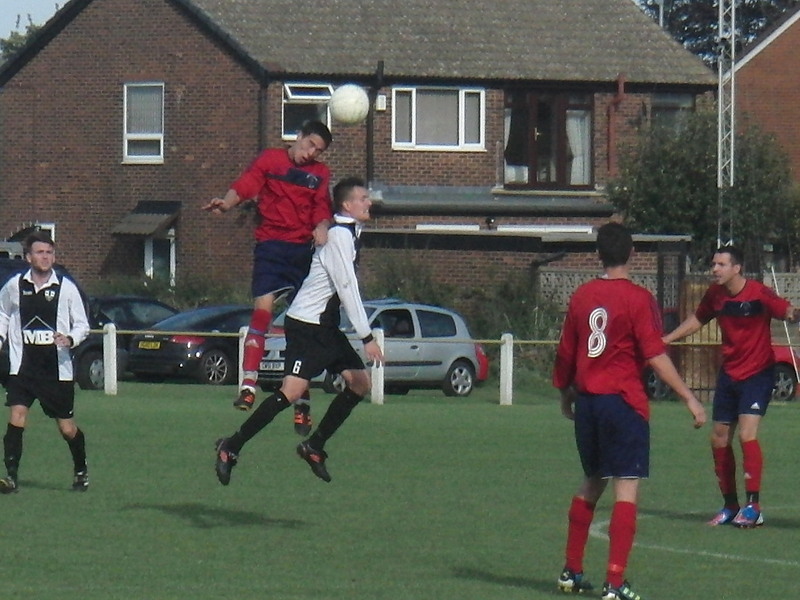 4 = Kris Robertshaw with a header. 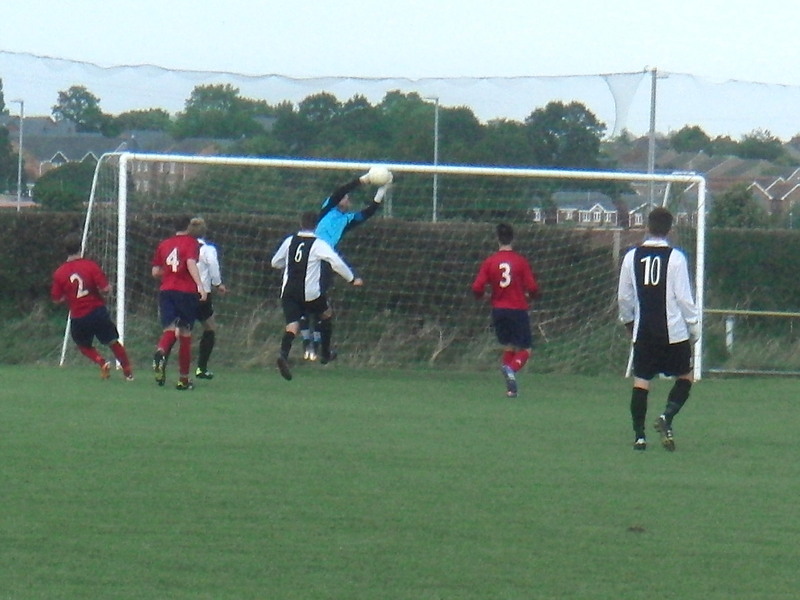 5 = Chris Barrow makes a save. 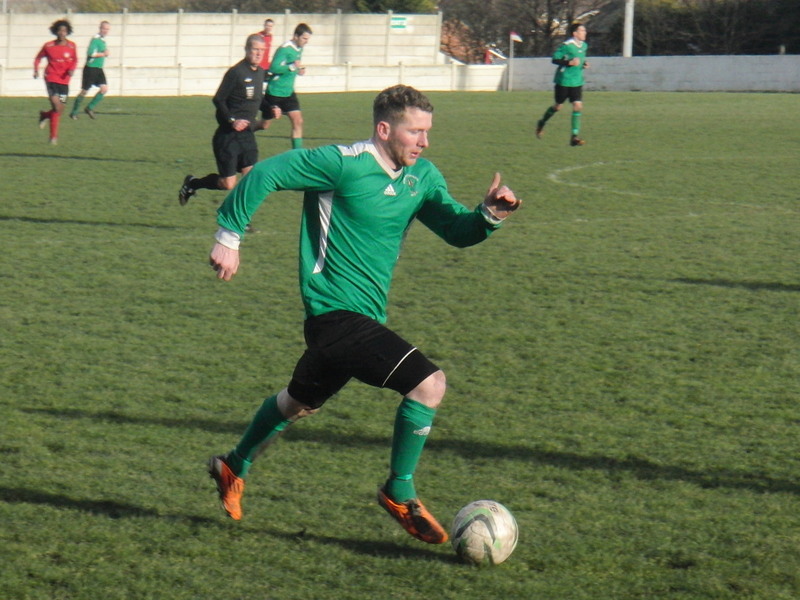 6 = Jay Davis socres the last goal too. 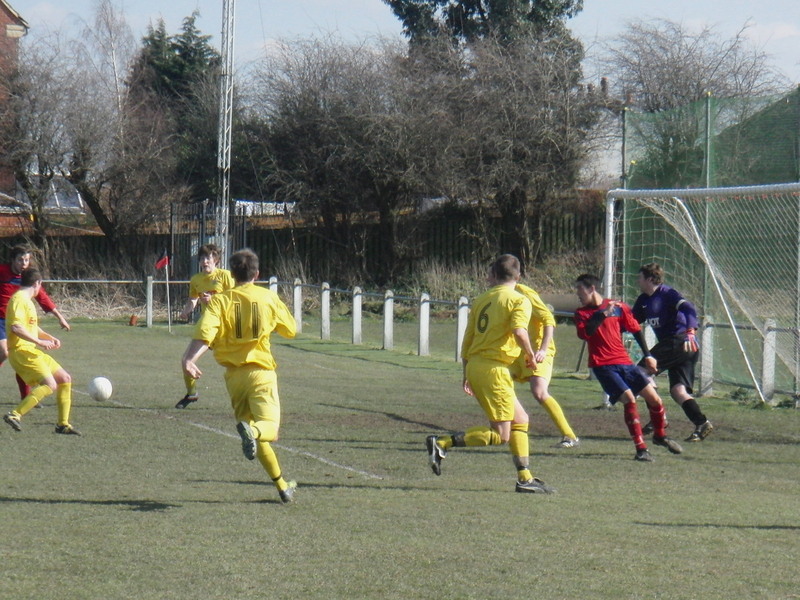 1 = Lee Harris under pressure. 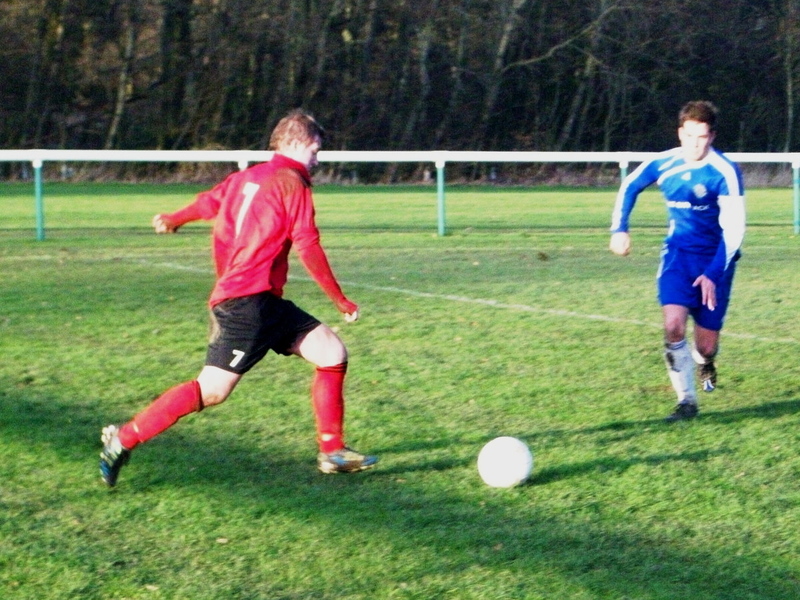 2 = Tackle avoidance by Jon-Paul Sharp. 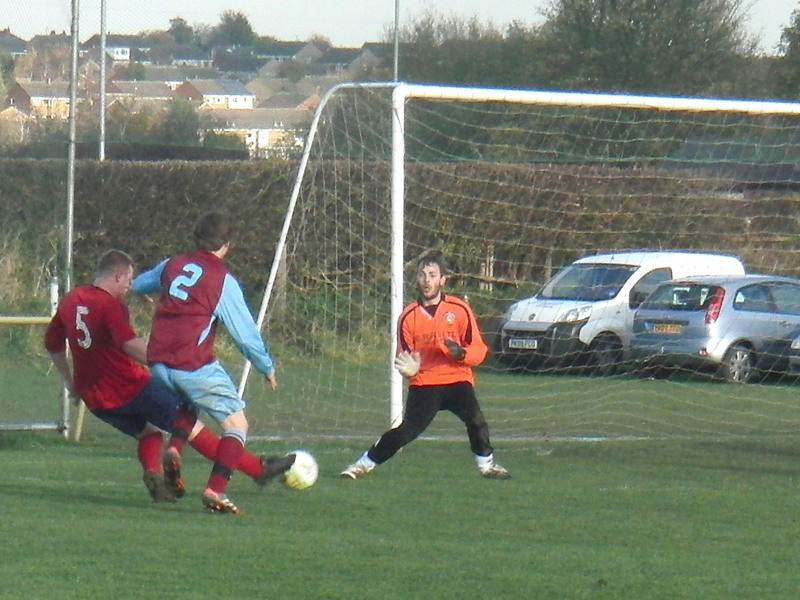 4 = Jon-Paul Sharp with another shot. 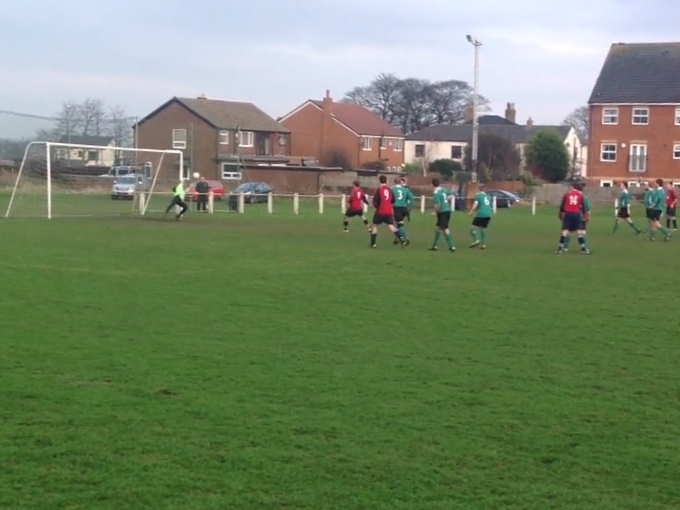 5 = The opening goal on video! 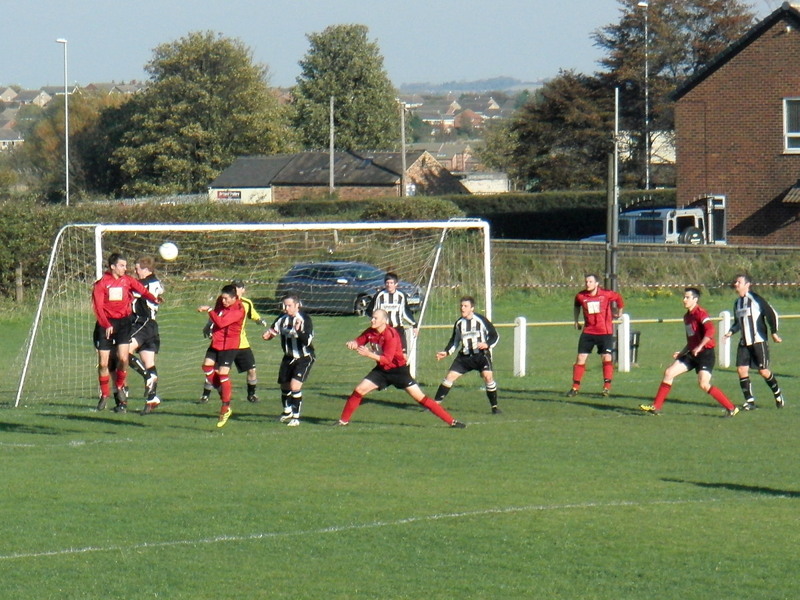 6 = And a still photo of the free kick. 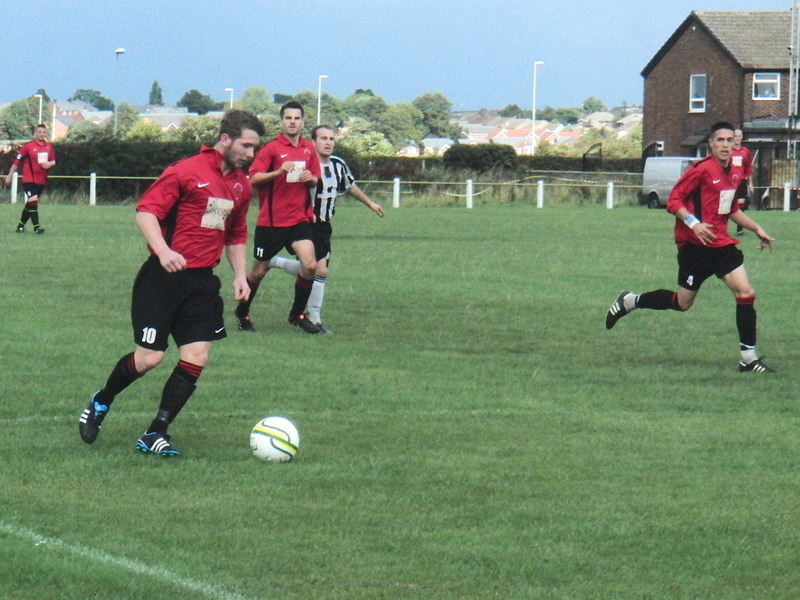 7 = Lee Harris scores the second goal for Hood. 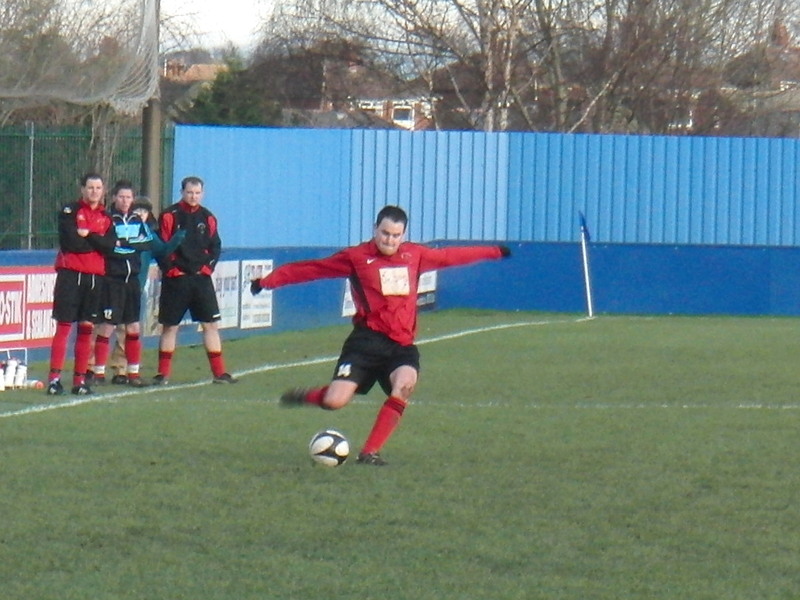 1 = Close ball control from new signing Jon-Paul Sharp. 2 - The crowd watches Jon-Paul Sharp sell the dummy. 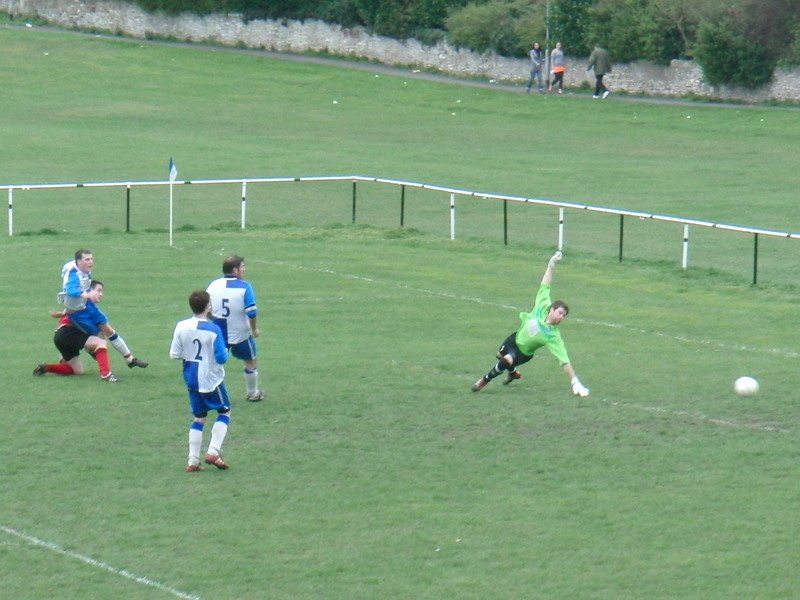 3 = Scott Burns leaps over the keeper to score Hood's second goal. 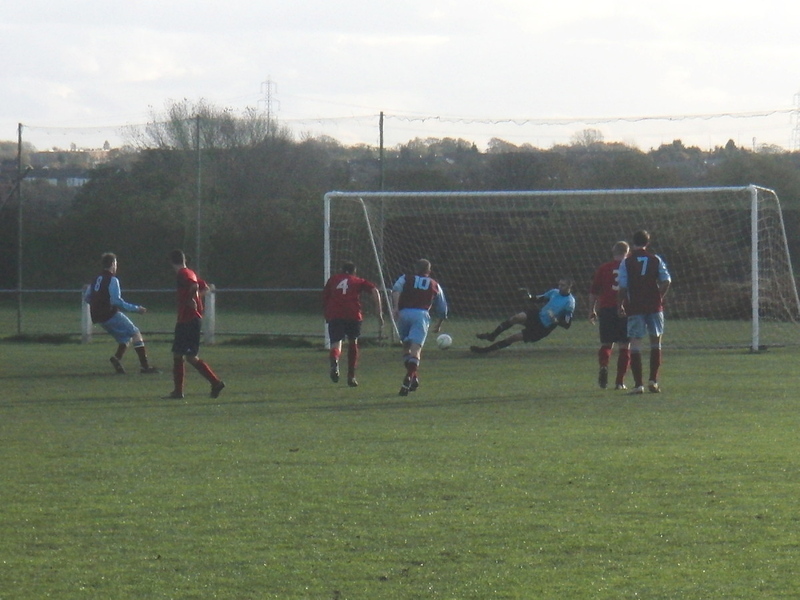 4 = Danny Chadwick scores from the penalty spot. 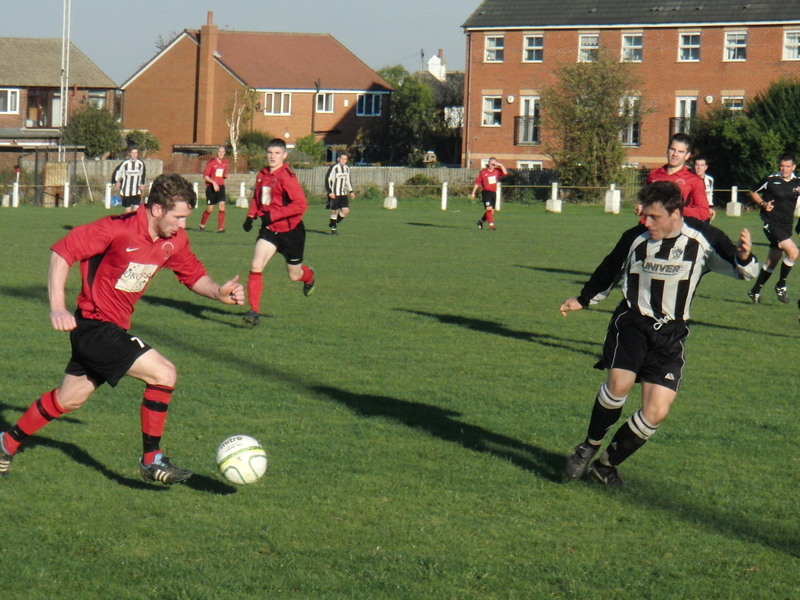 5 = Dale Dodsworth (no 9) goes close watched by Kris Robertshaw. 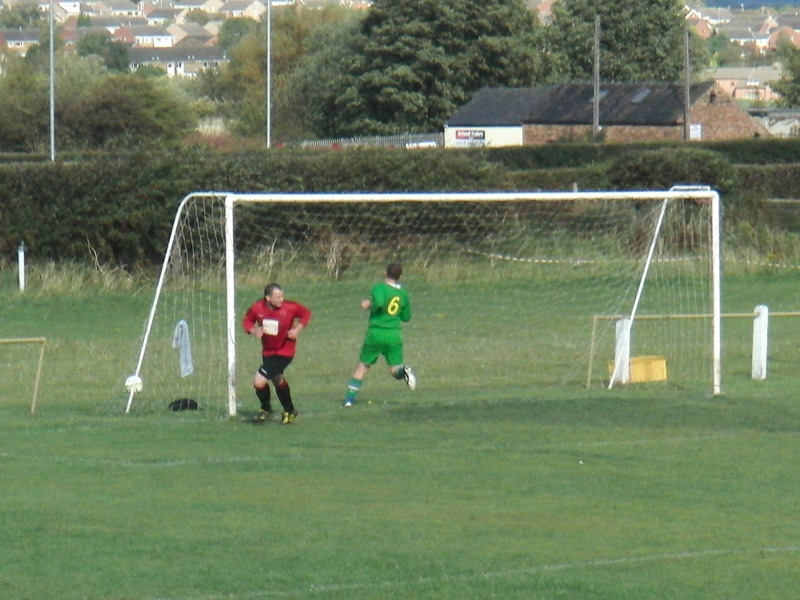 1 = The Hood goal..
2 = Tom Carter with a header. 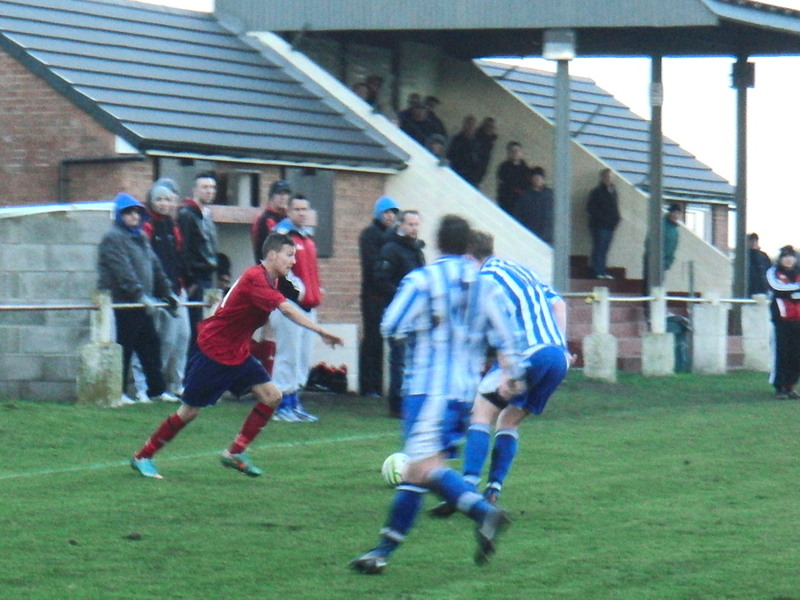 3 = Chris Ovington shoots. 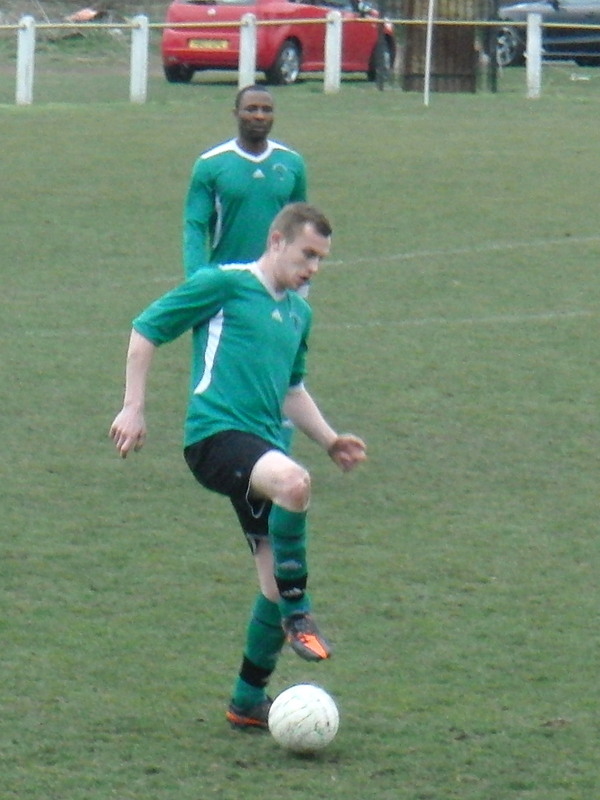 1 = Jordan Stafford concentrating. 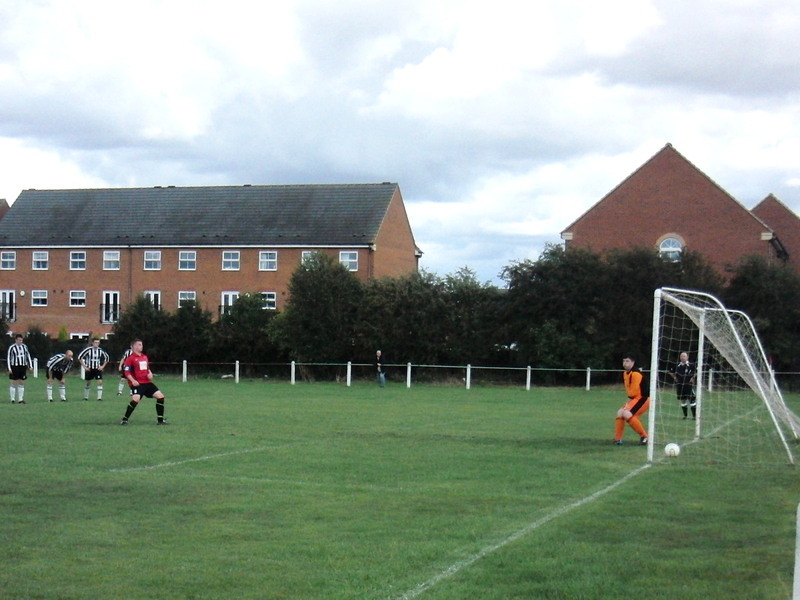 2 = Matthew Kelly scores the first Robin Hood goal from a tight angle. 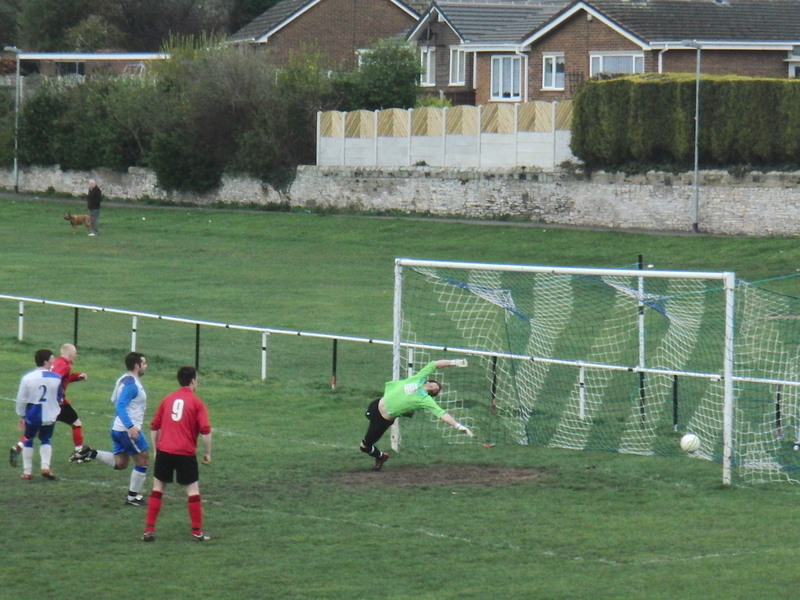 3 = Kris Robertshaw heads it over the bar with the keeper beaten. 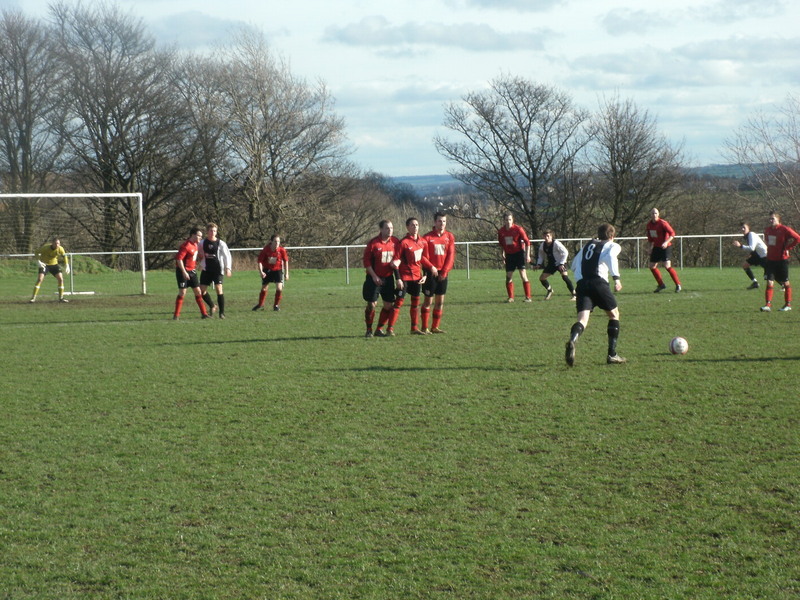 4 = Wide view as Hood search for a winner. 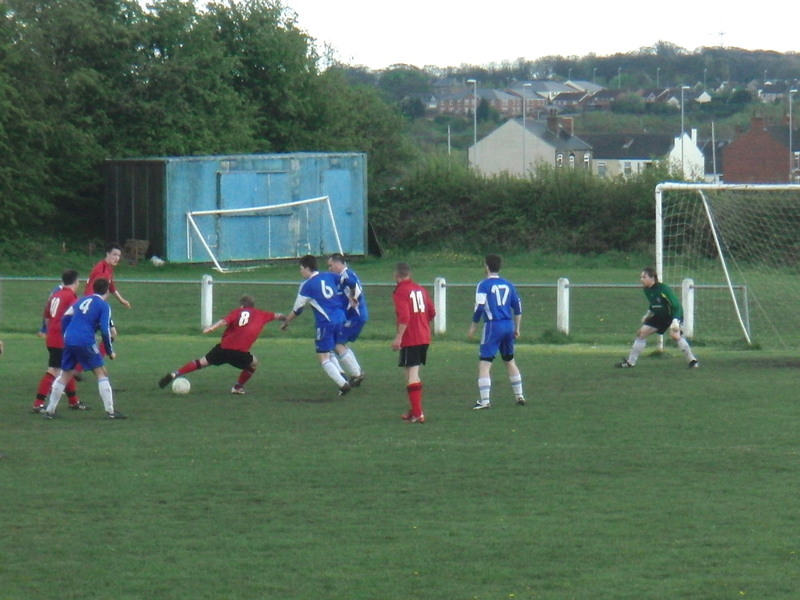 1 = Scott Burns tries his luck. 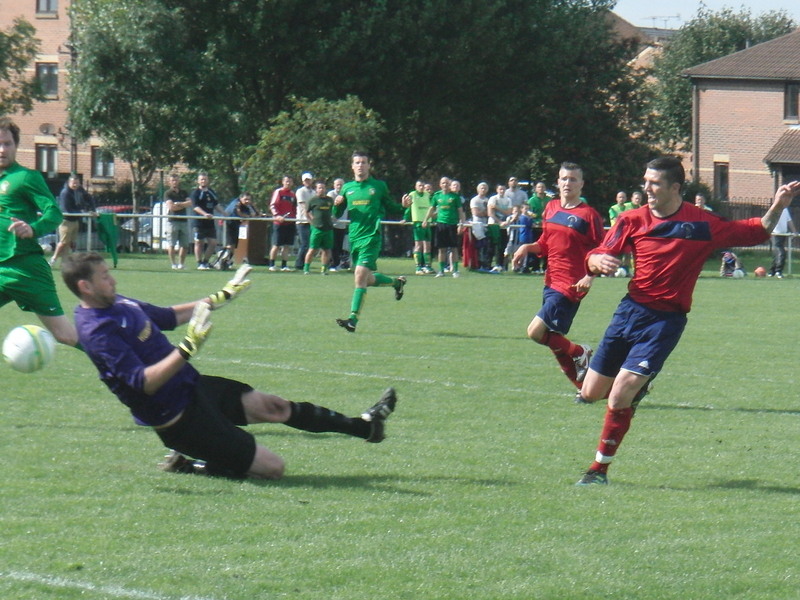 2 = Chris Barrow with a safe pair of hands. 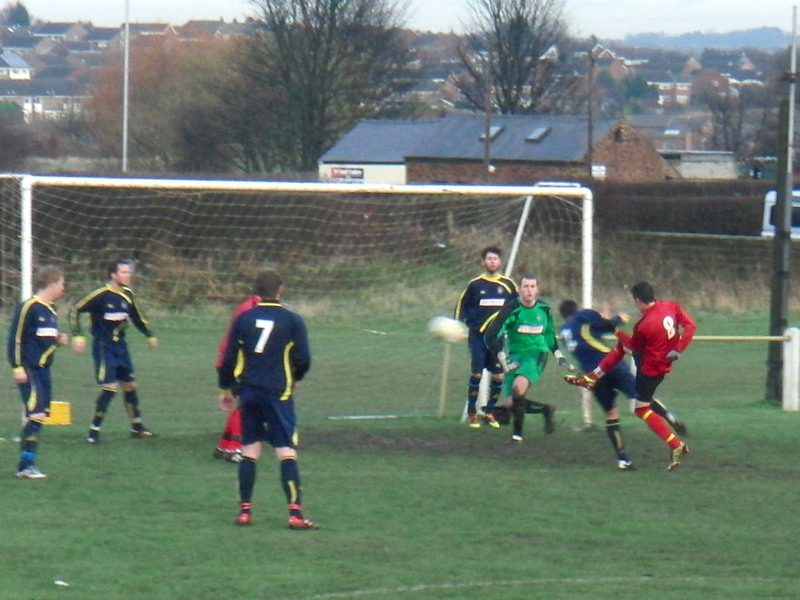 3 = Mark Temple in an aerial battle..
4 = Ash Crowther scores Hood's second goal. 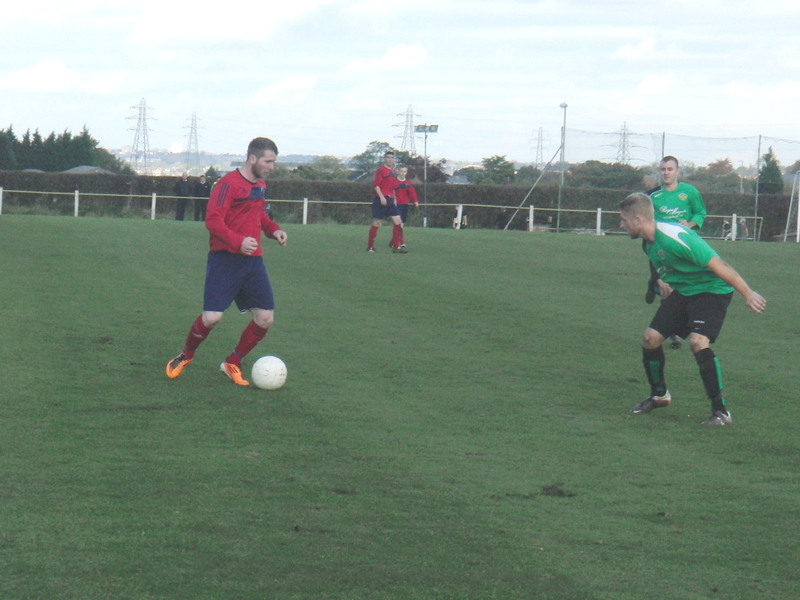 5 = A good effort from Tom Carter. 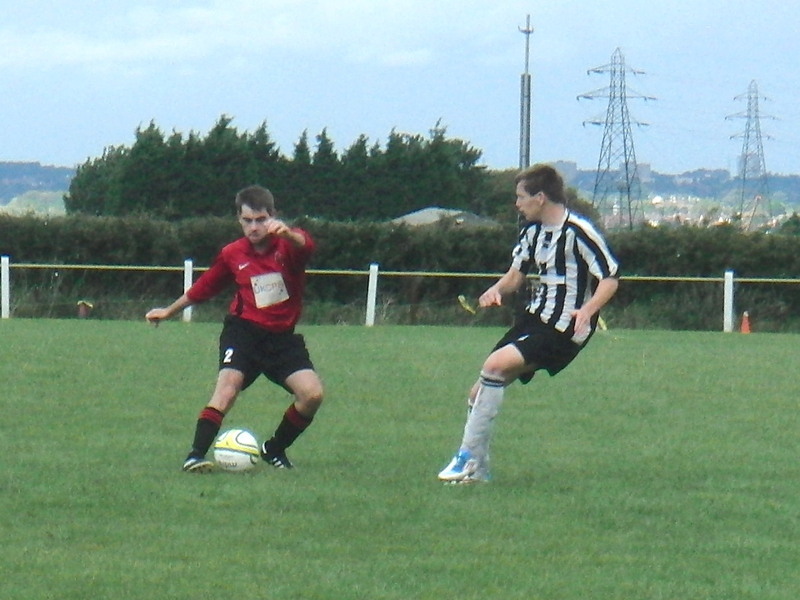 6 = Ball control from James Finlayson. 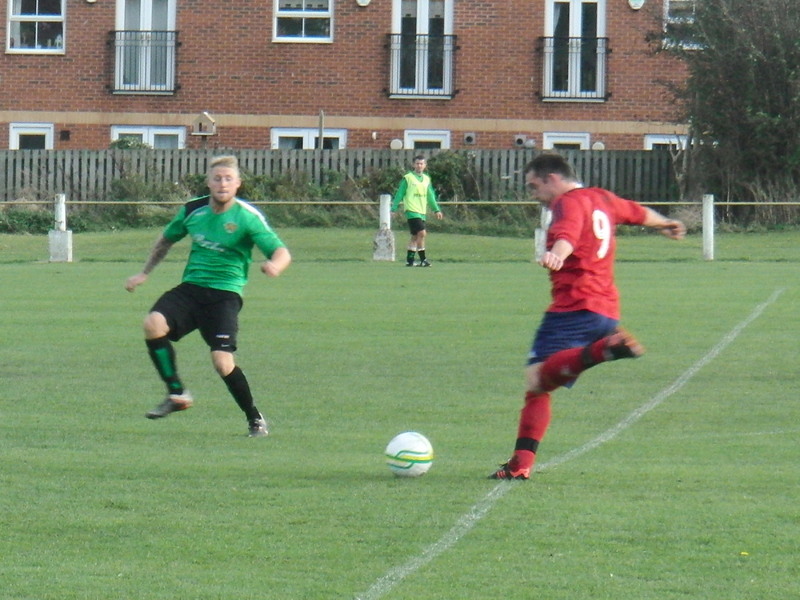 7 = Tom Carter lobs in the third goal. 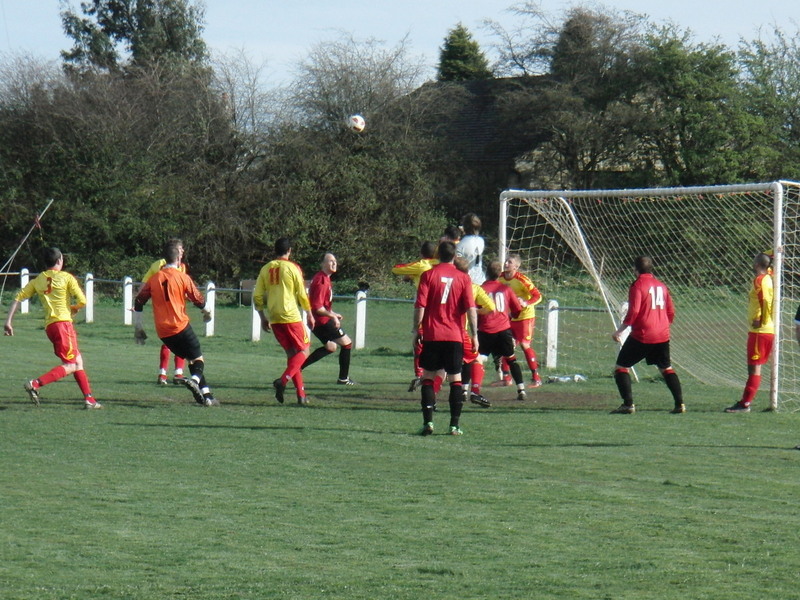 2 = Chris Brown heads it goalwards. 3 = Another Hood corner. 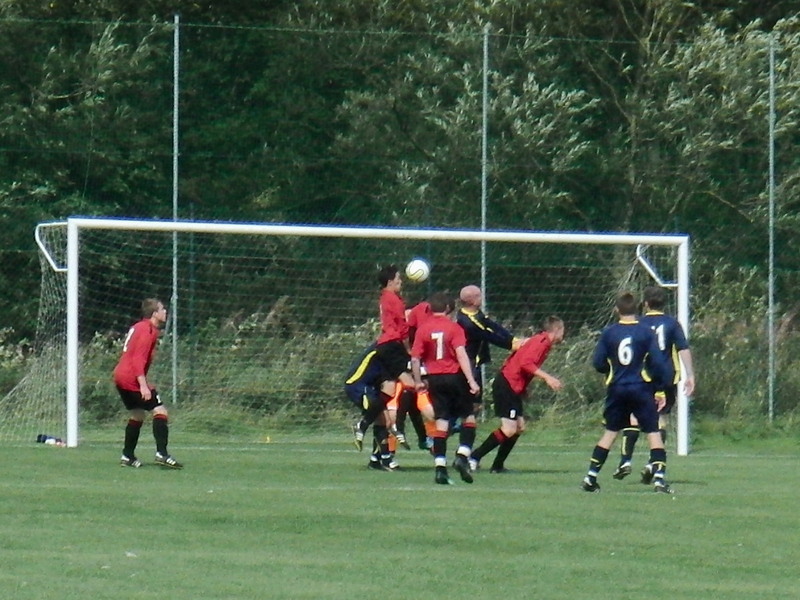 1 = A free header in the box for Steve Hancock. 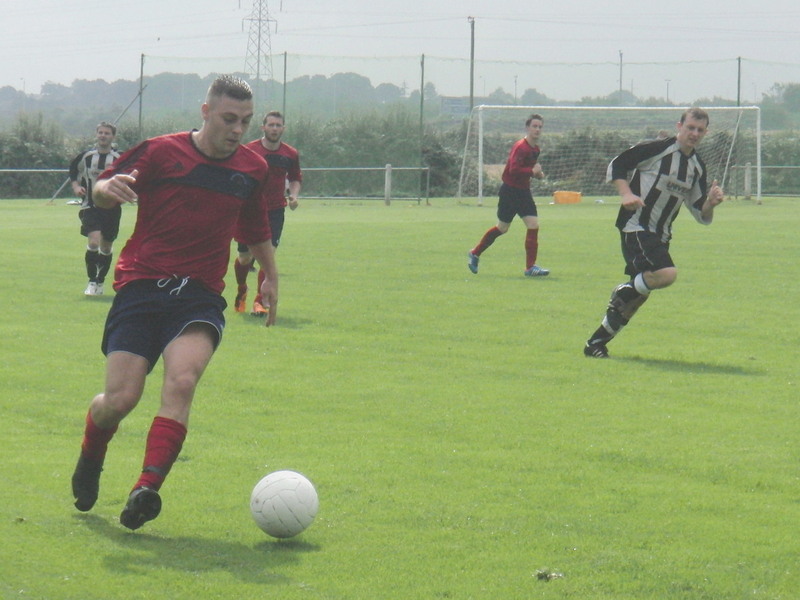 2 = Hood on the break. 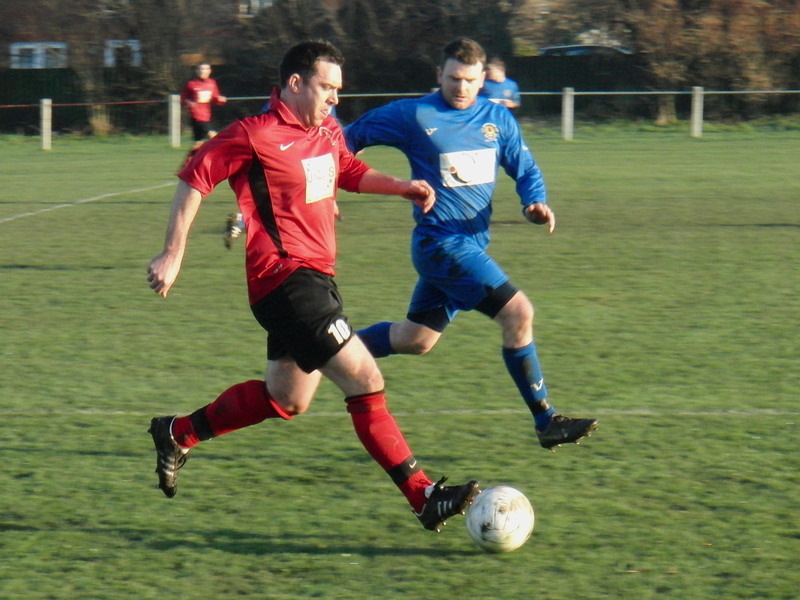 3 = Anthony Wilson on the ball. 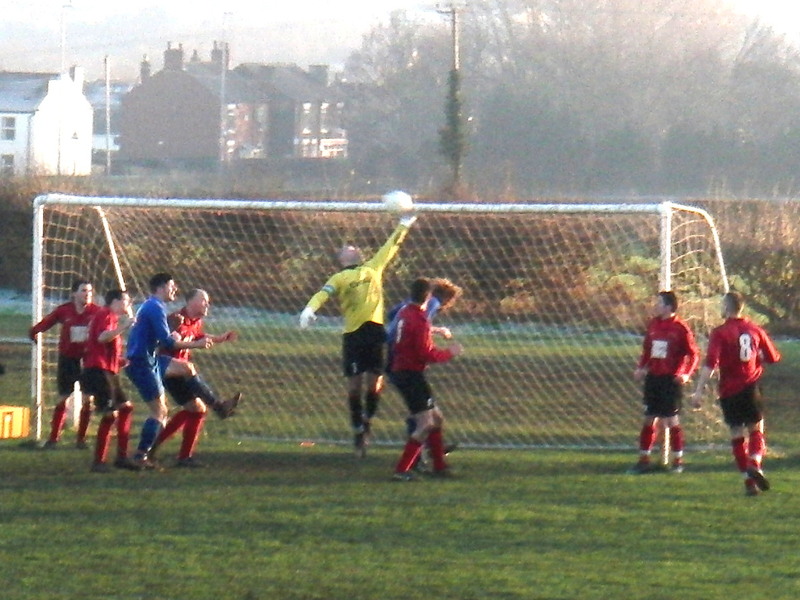 1 = A free header is directed straight at keeper Chris Barrow. 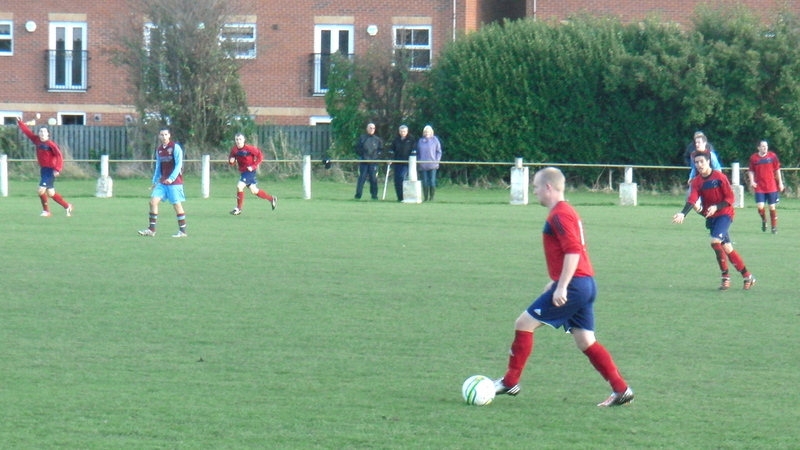 2 = Scott Burns shoots, watched by James Finlayson. 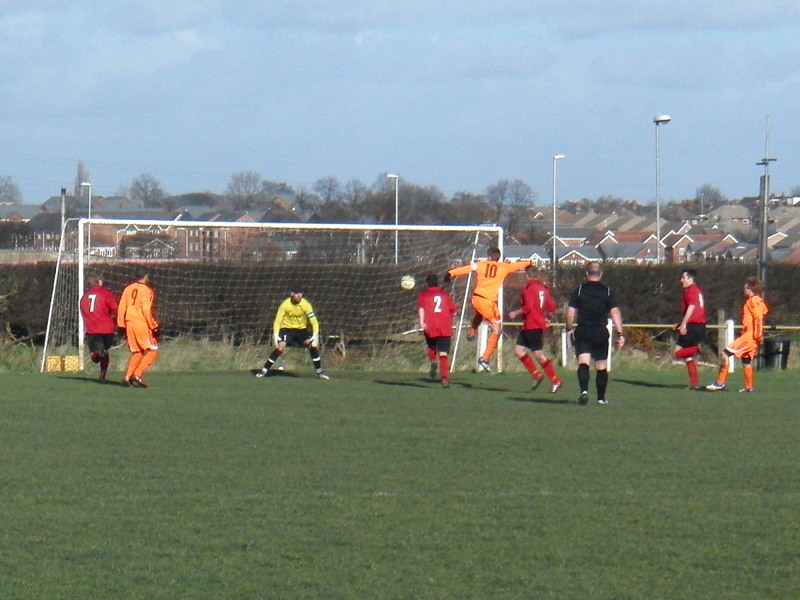 3 = Gav Crowther (by no 5) grabs the winner with the keeper stranded. 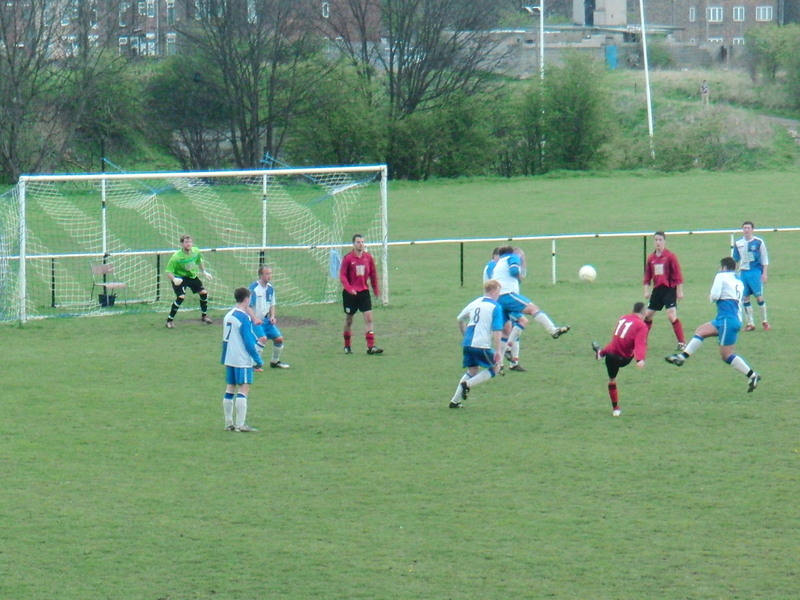 1 = Chris Brown (no 5) gets the first Hood goal. 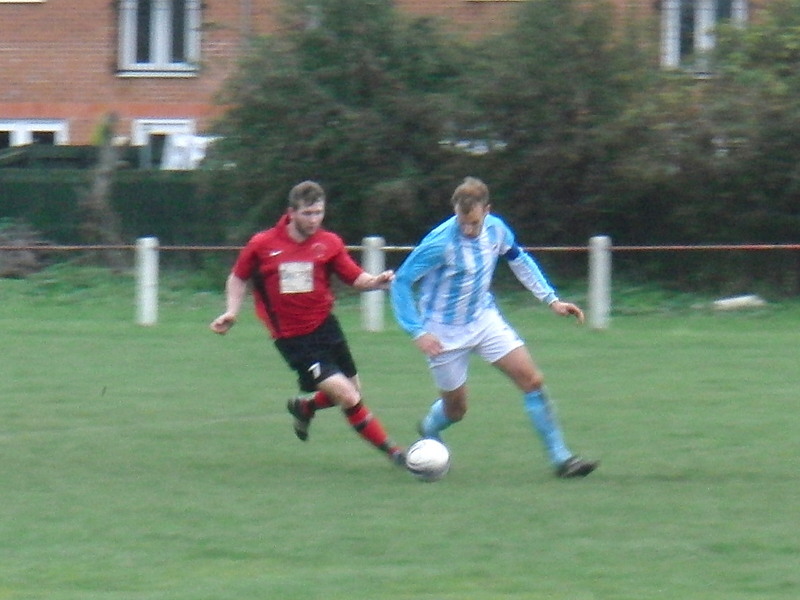 2 = Chris Ovington taking on the defence. 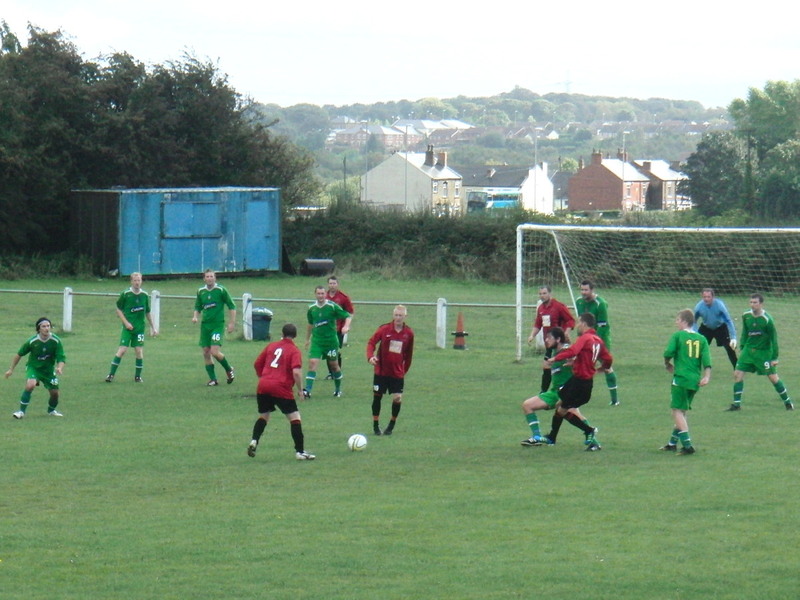 3 = Panorama view with Jordan Stafford attacking. 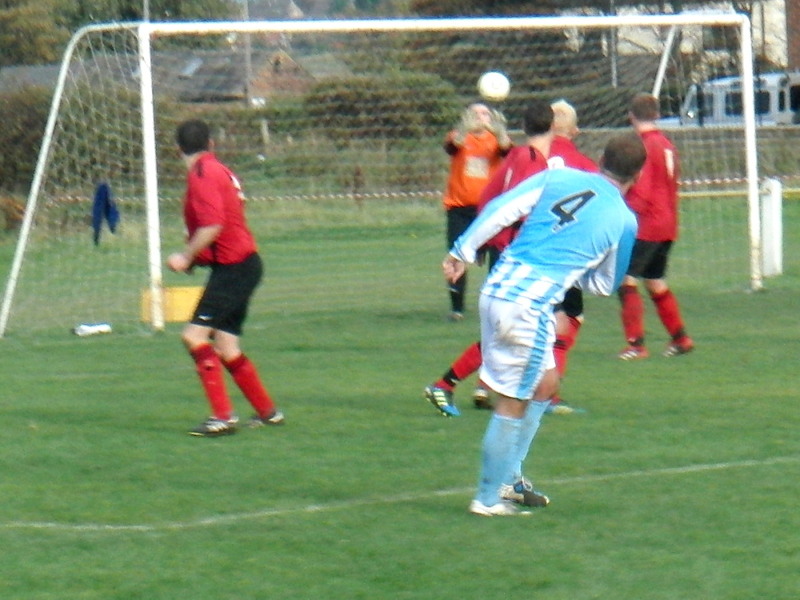 4 = Scott Burns is watched by Lee Jaques. 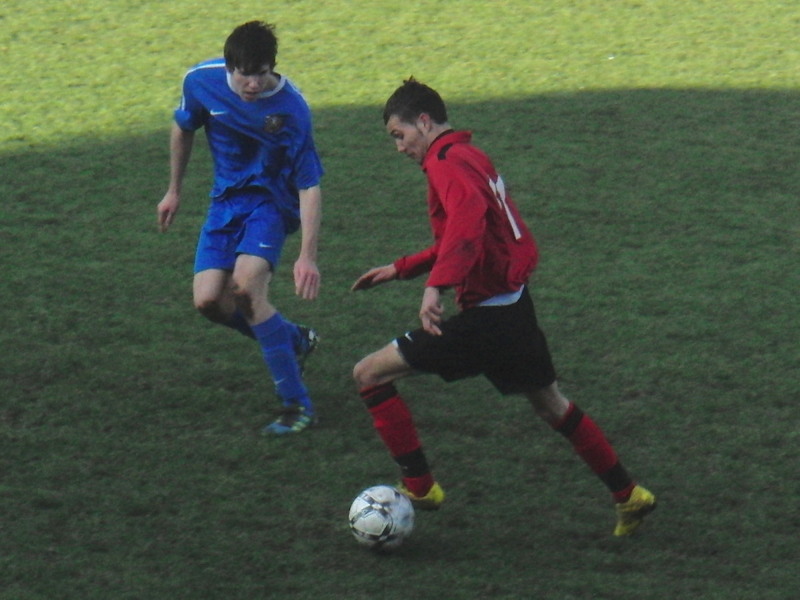 5 = Jordan Stafford on the ball. 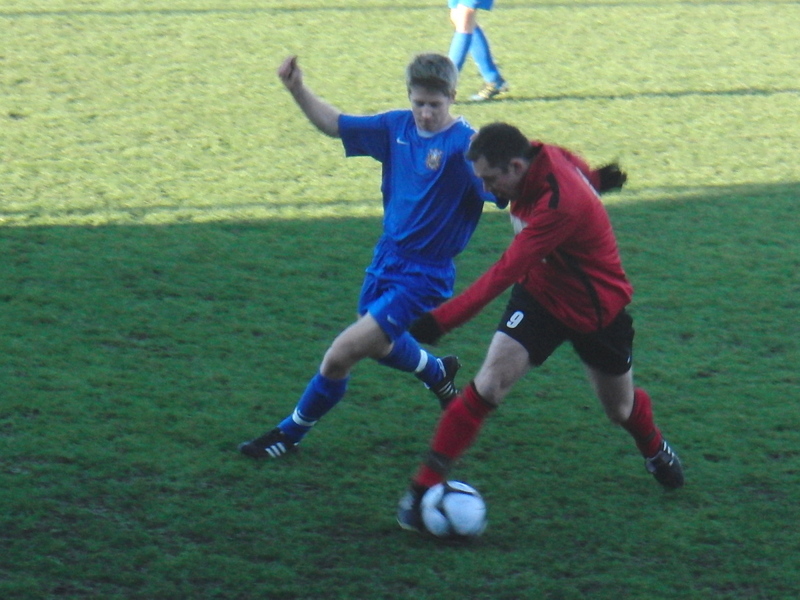 1 = Simon Gould taking on a large defender. 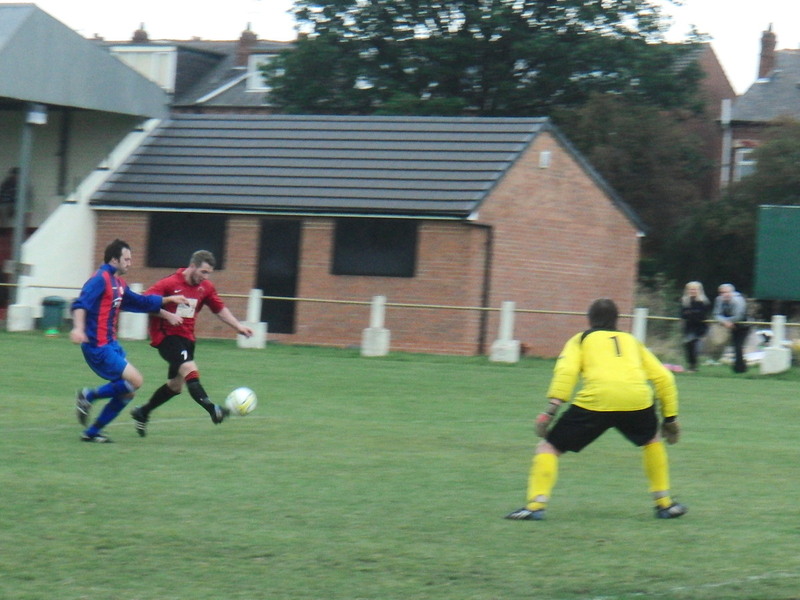 2 = Paul Smith attacking..
3 = Ball control from Lee Jaques. 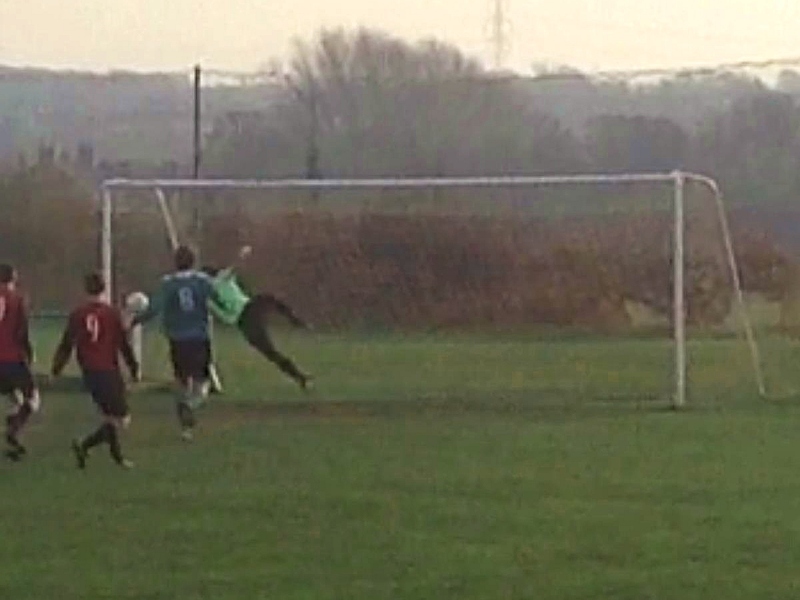 4 = Good save from Chris Barrow. 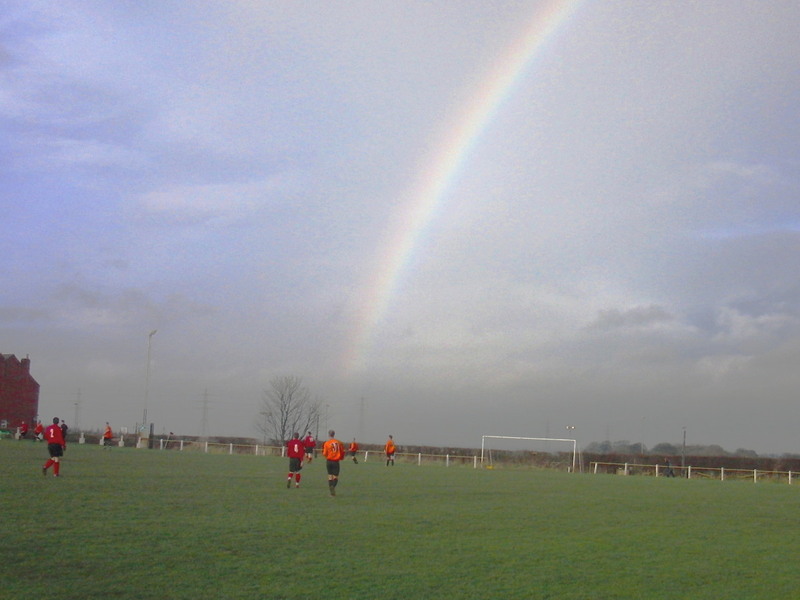 1 = A rainbow on the Hood! 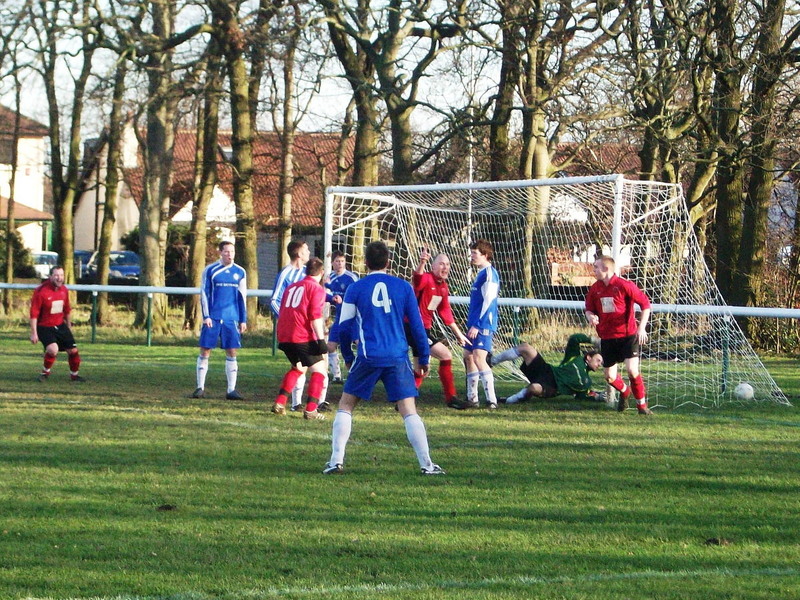 2 = Chris Brown up for the corner. 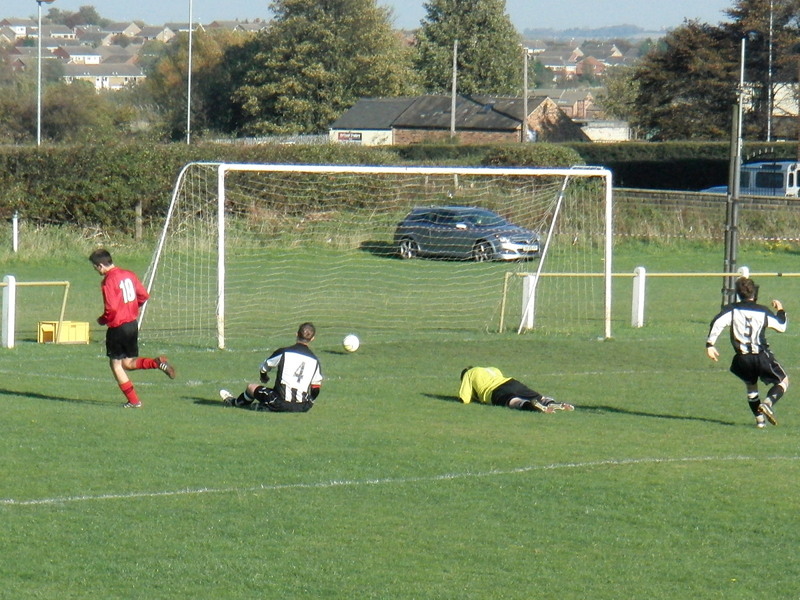 3 = Dale Pickering's shot beats everyone for the 1st goal. 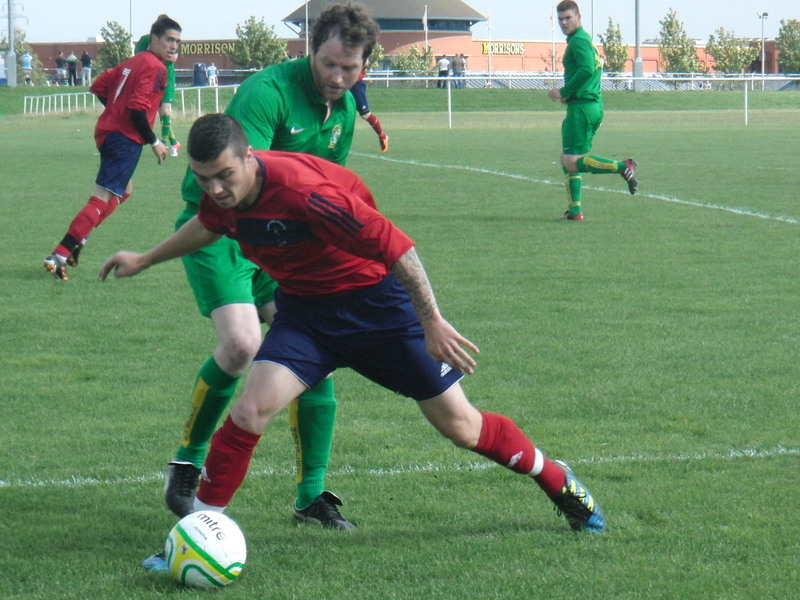 1 = Paul Smith guarding the ball. 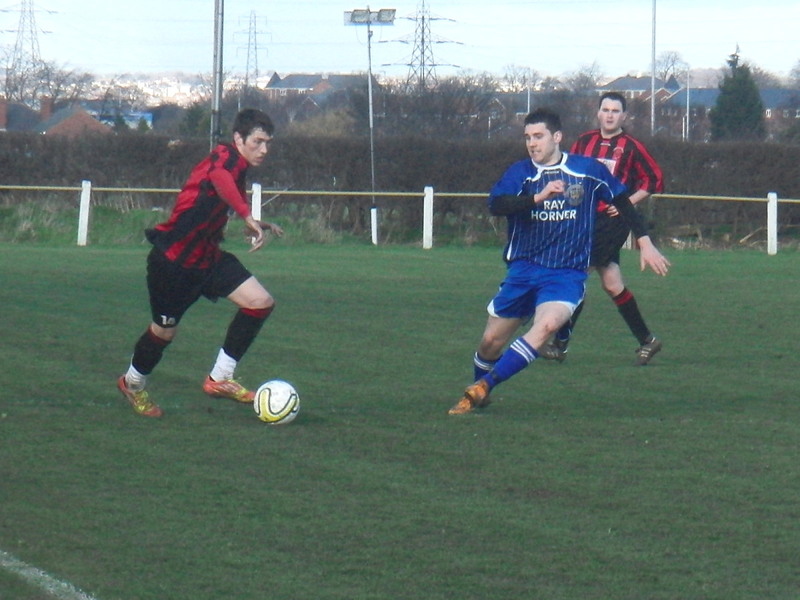 2 = Scott Burns on the ball. 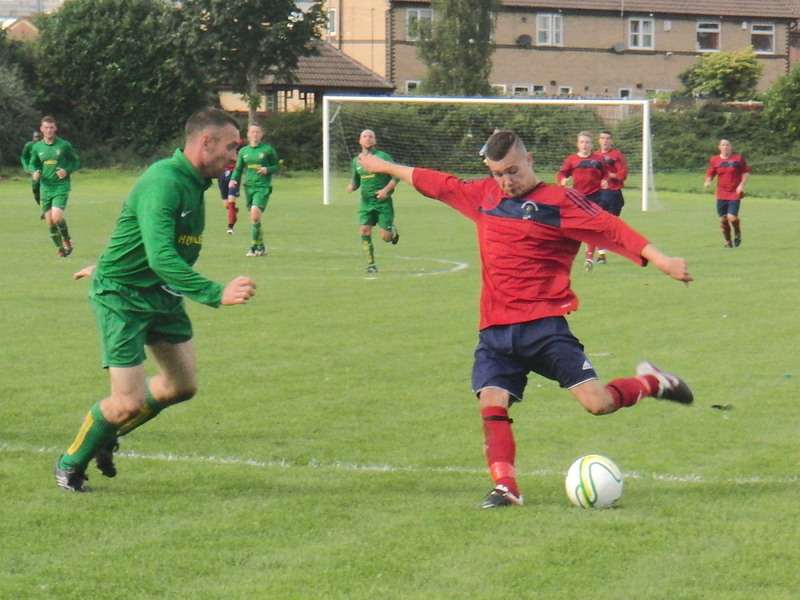 3 - Simon Gould with a long pass. 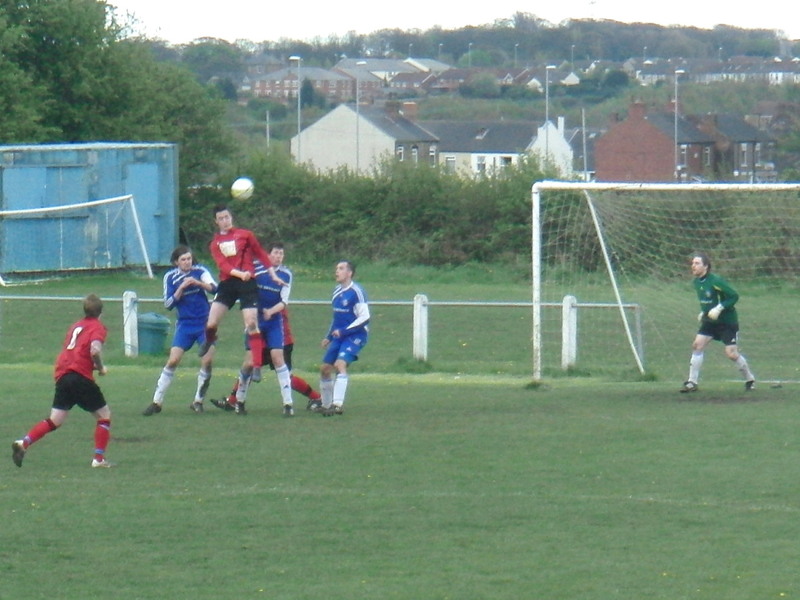 4 = Lee Jaques wins a header. 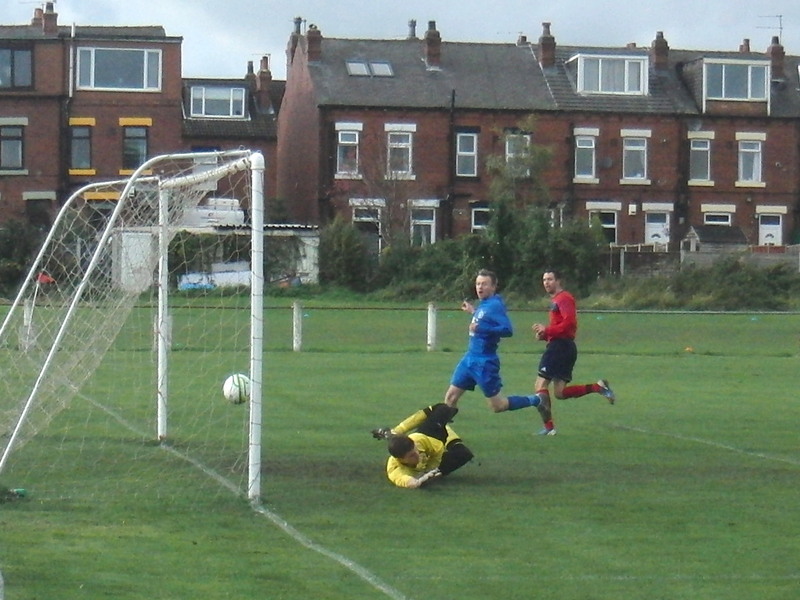 1 = Kris Robertshaw nearly gets an early goal. 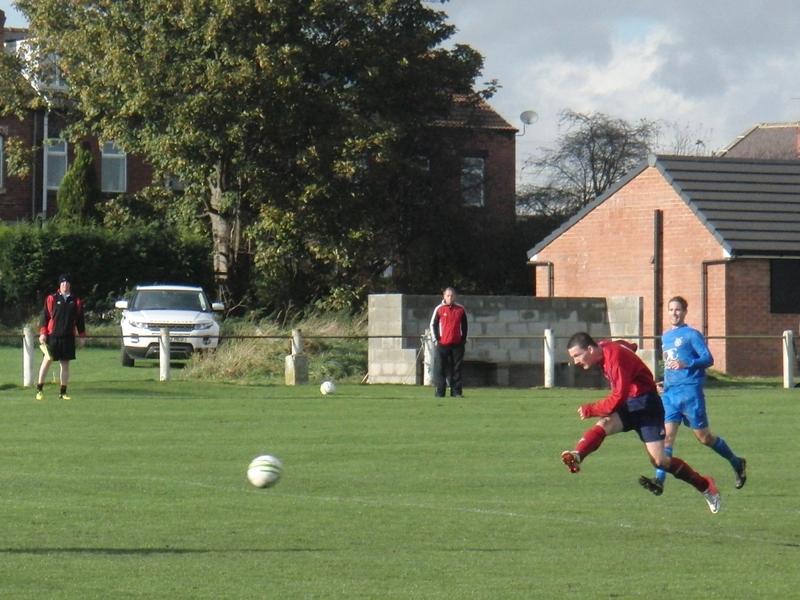 2 = James Finlayson shoots, watched by Matthew Gould. 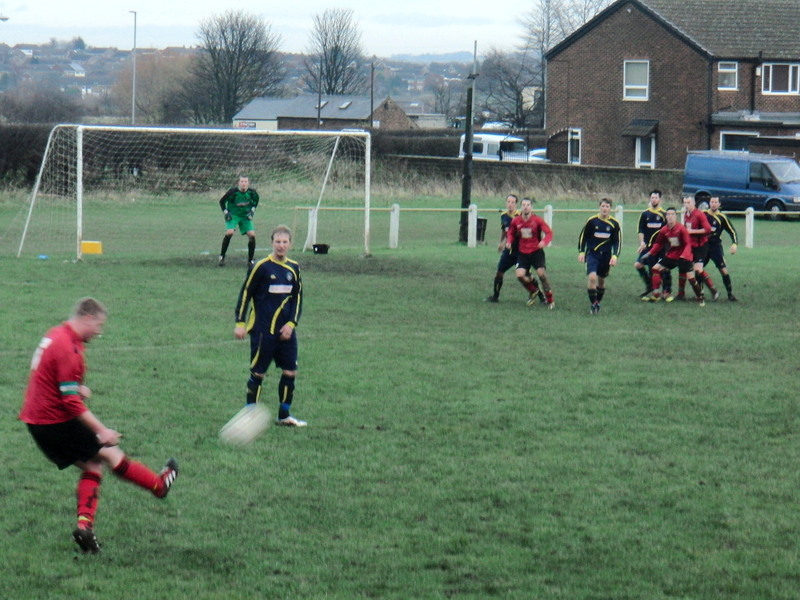 3 = A Lee Jaques free kick. 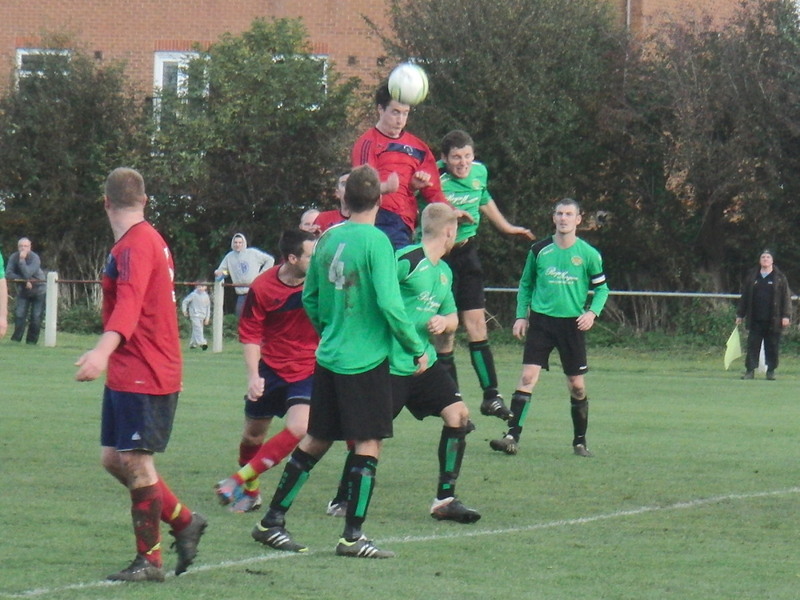 1 = Kris Robertshaw wins the header over Paul Stafford. 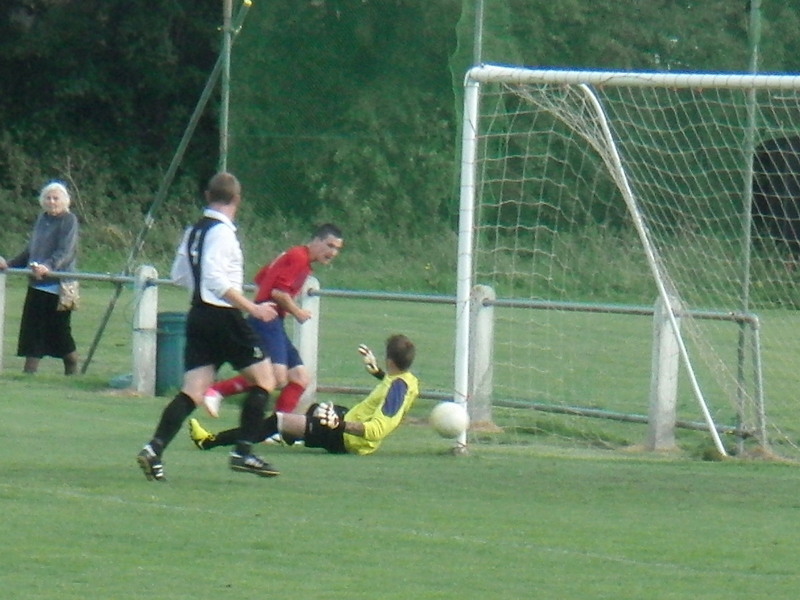 2 = James Finlayson scores Hood's second goal with the keeper beaten. 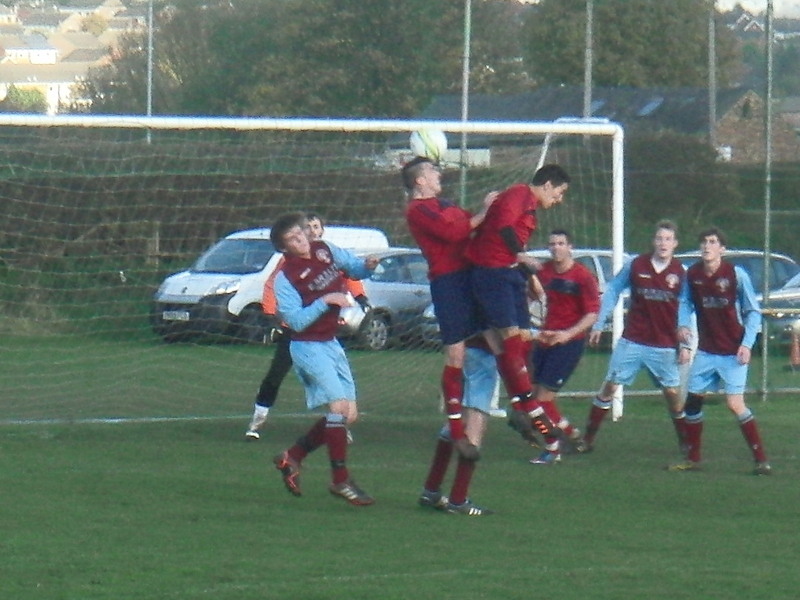 3 = Kris Robertshaw winning another aerial battle. 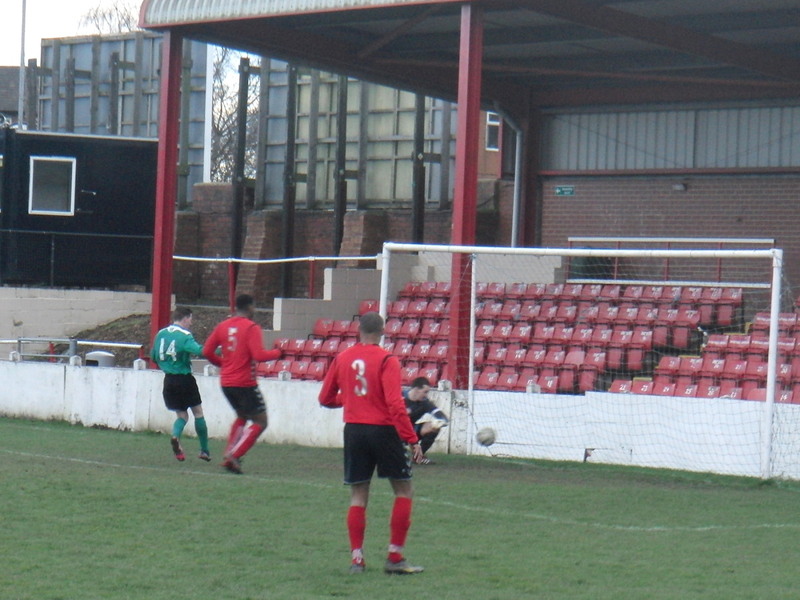 4 = Keeper Lee Wood saves a Rothwell free kick. 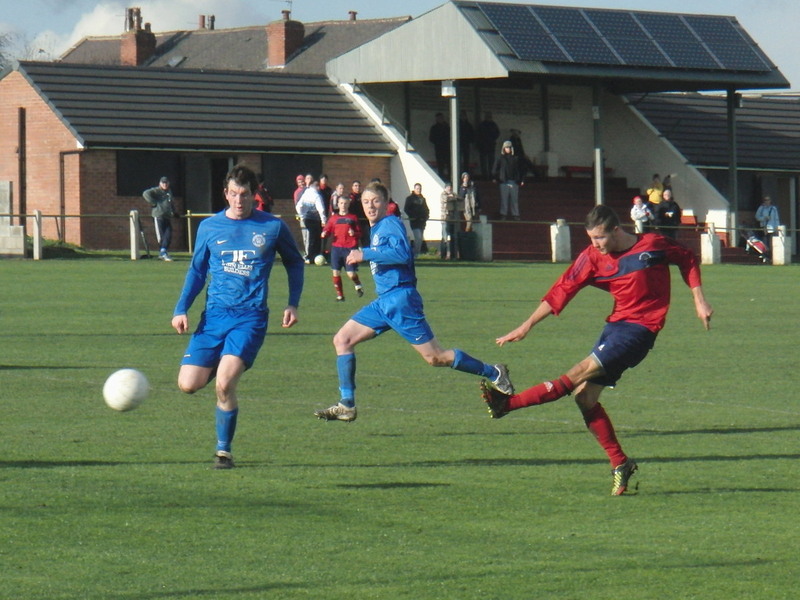 5 = Scott Burns about to deliver a cross. 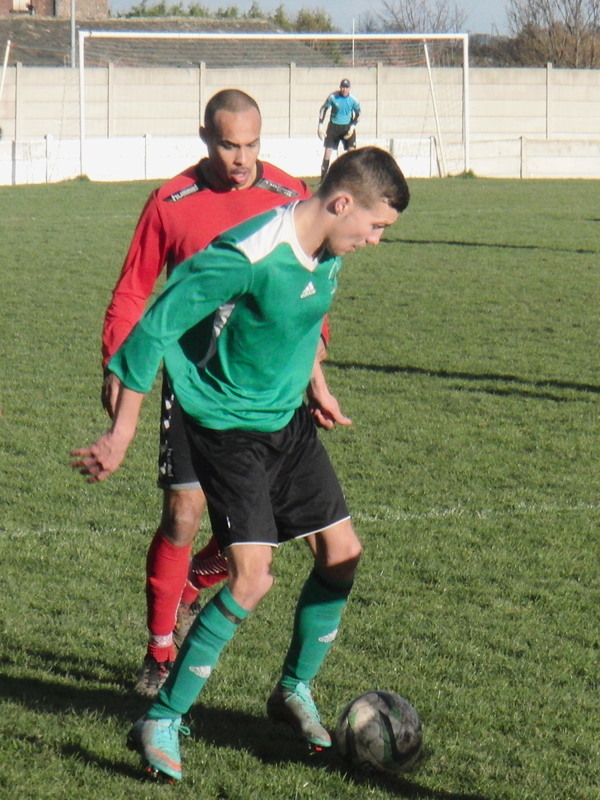 6 = Ryan Bailey chases the ball. 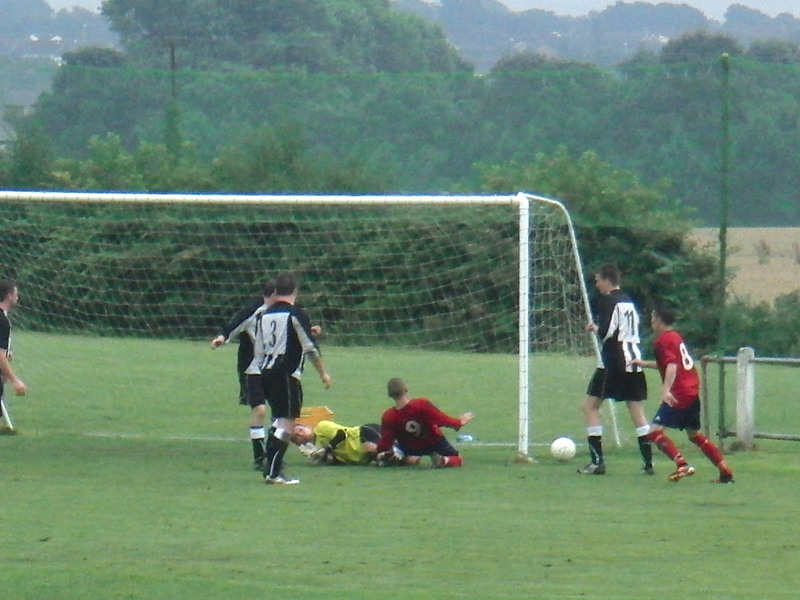 1 = Gavin Crowther (no 9) scores the first goal with the keeper out of position. 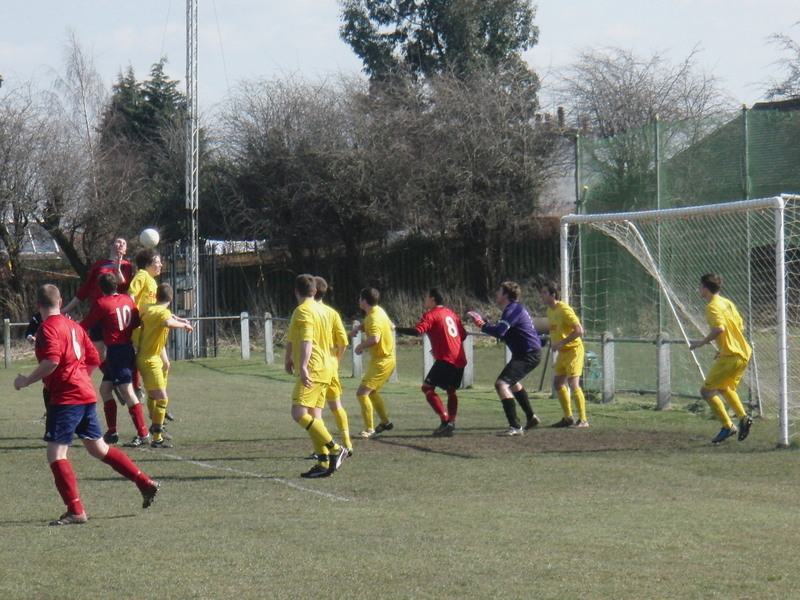 2 = Five in the box for a corner. 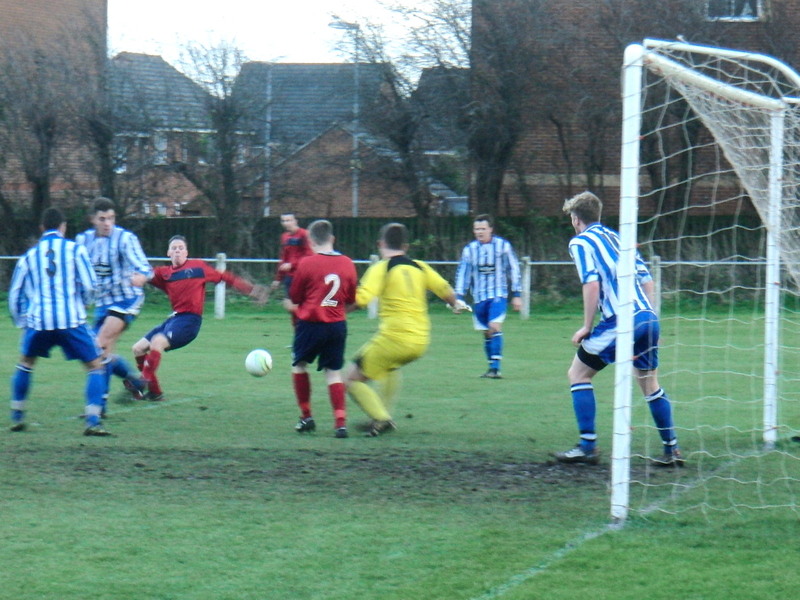 3 = James Finlayson slots in Hood's second goal. 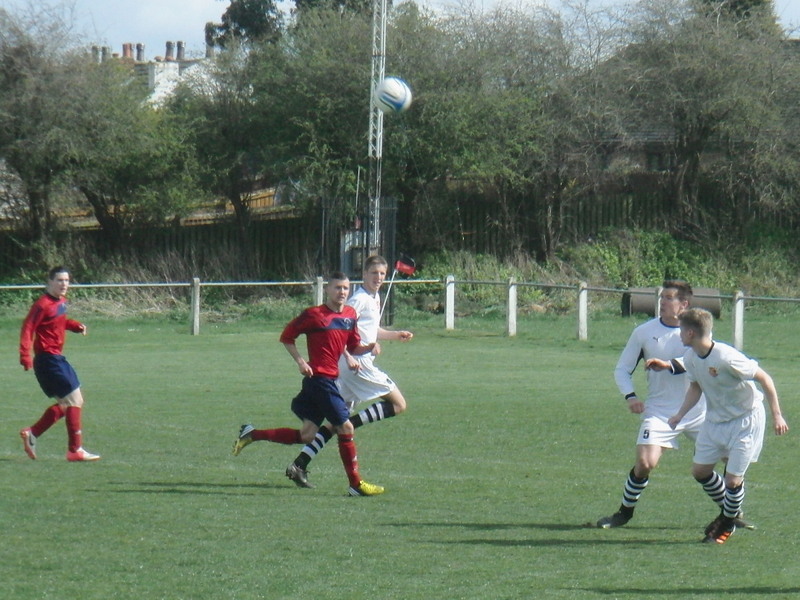 4 = Ryan Bailey on the attack. 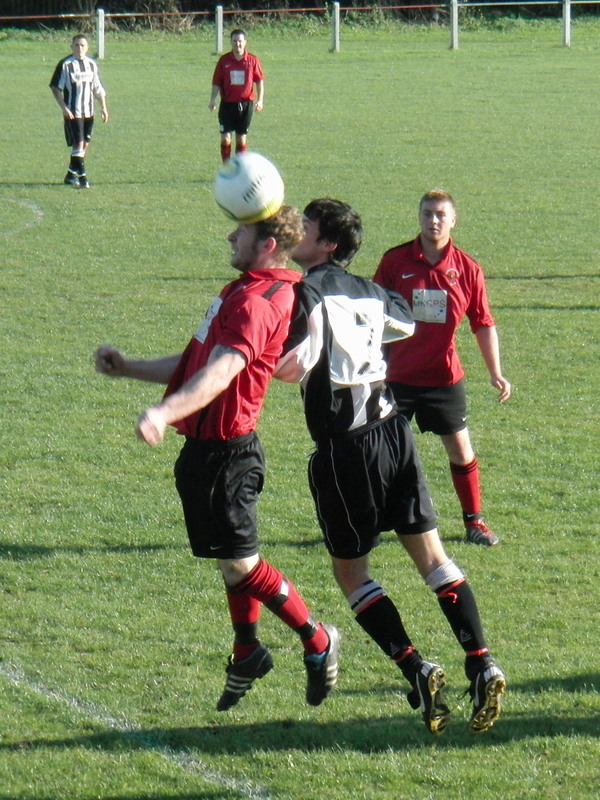 5 = Ryan Bailey wins a header, watched by Lee Jaques. 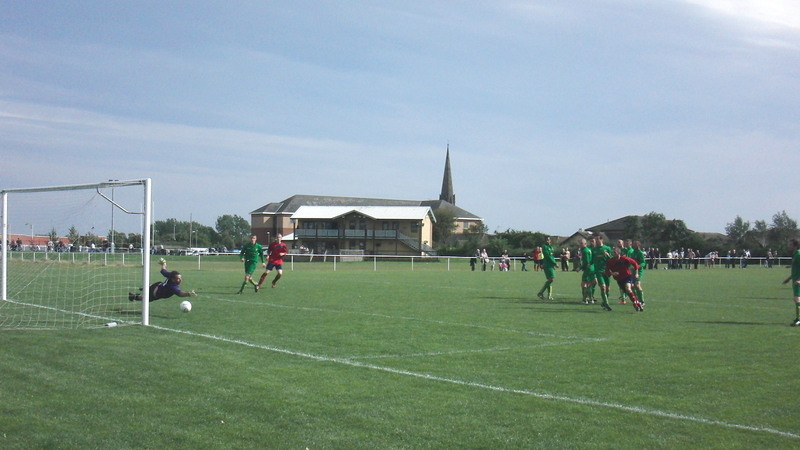 1 = Steve Hancock heads a corner. 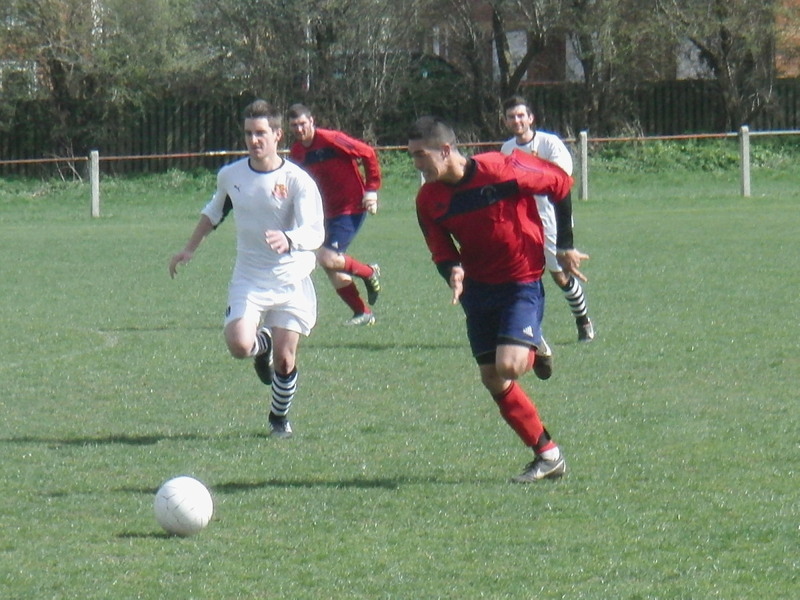 2 = Gervas Chipashi on the ball. 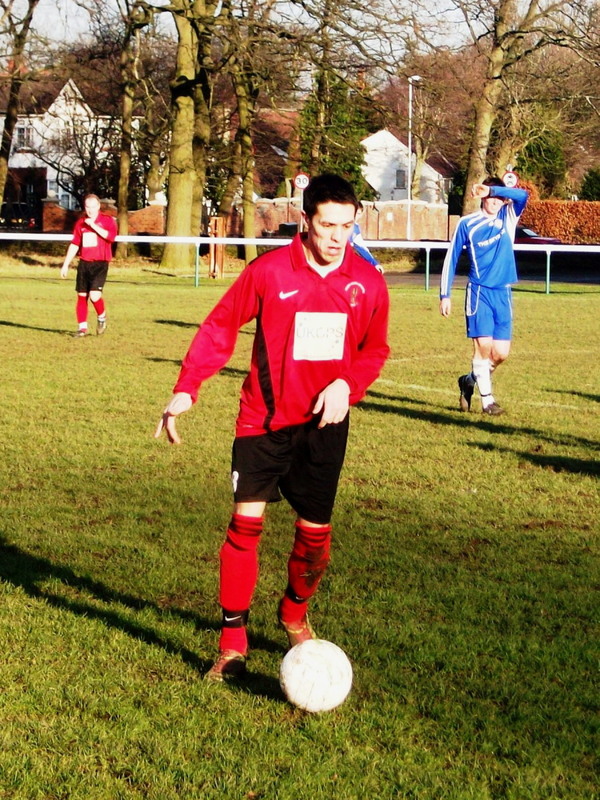 3 = Iain McBurney (no. 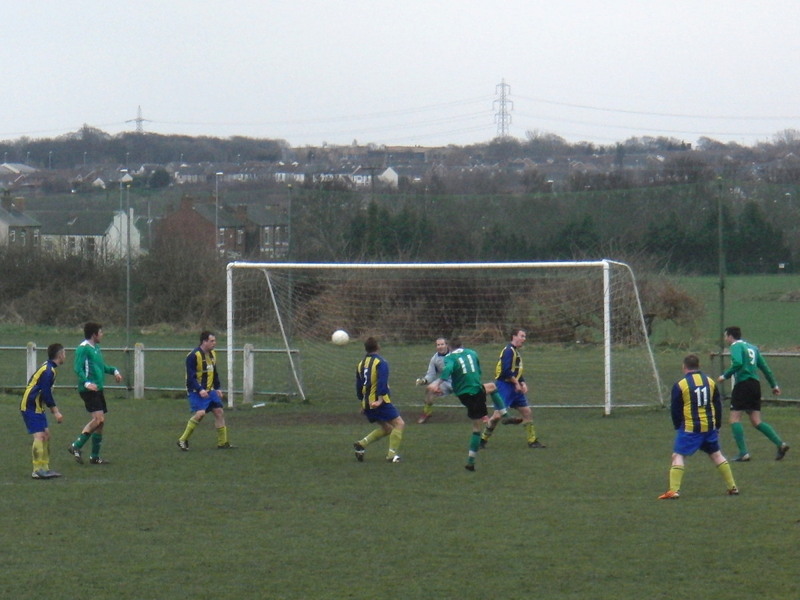 14) taps in Hood's goal. 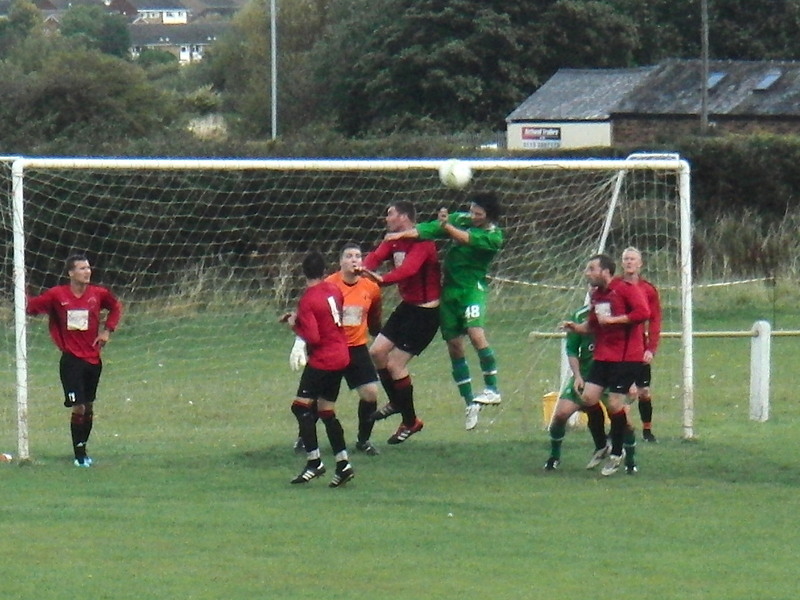 4 = Philippe Nirmalendran tries the spectacular! 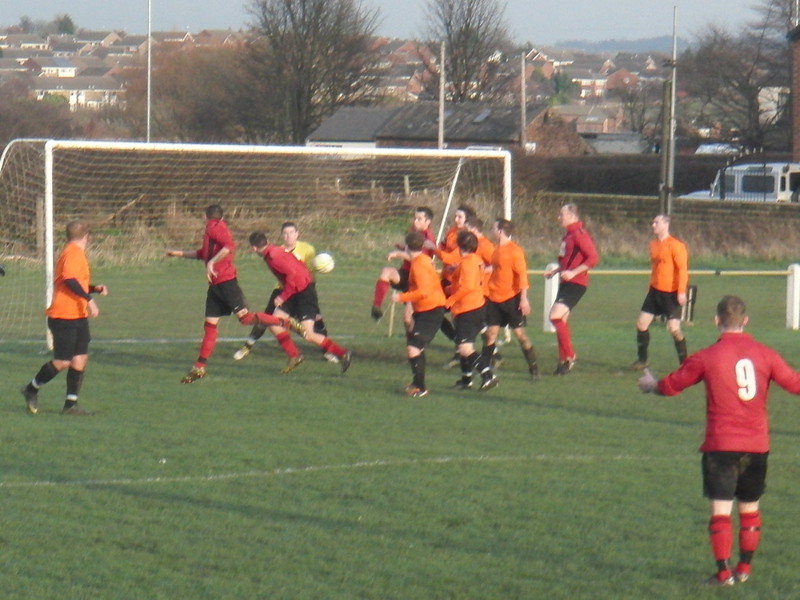 1 = Mark Temple tries his luck, watched by a crowd of 10 and a dog! 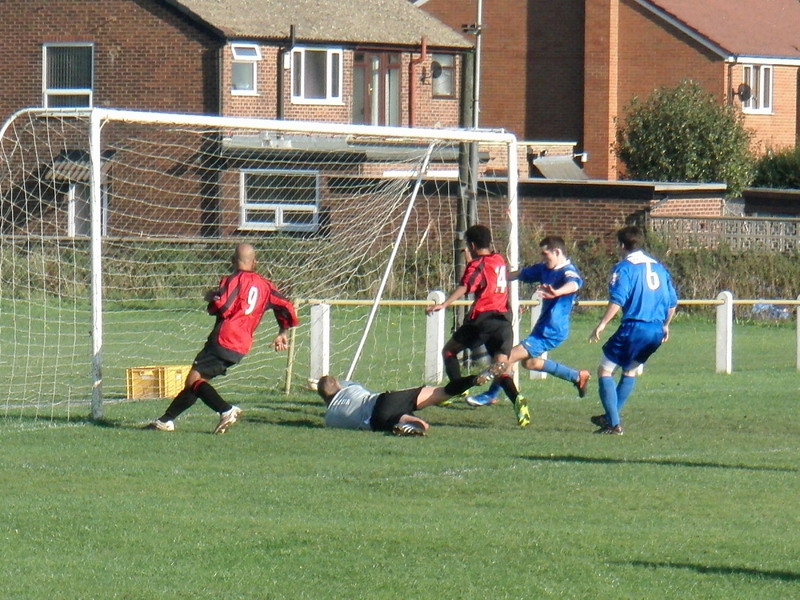 2 = Ryan Bailey scores Hood's third goal. 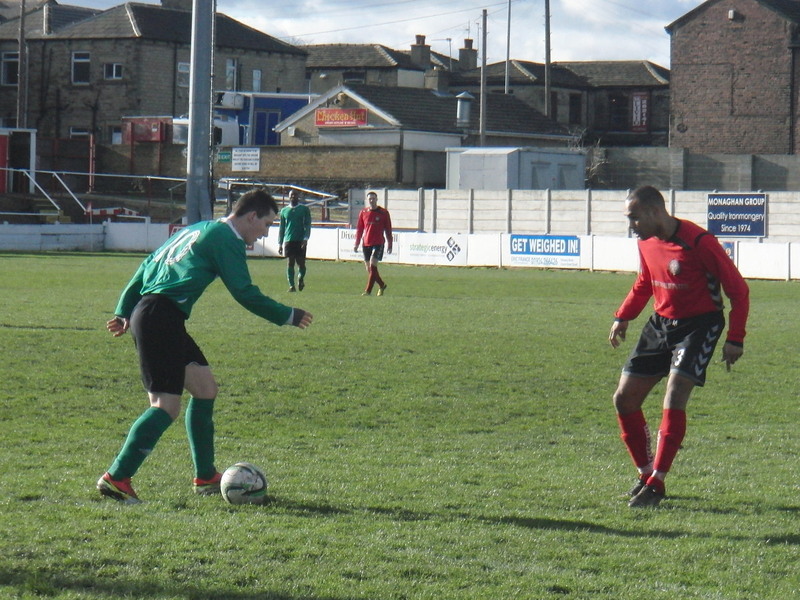 3 = Ryan Bailey is through again. 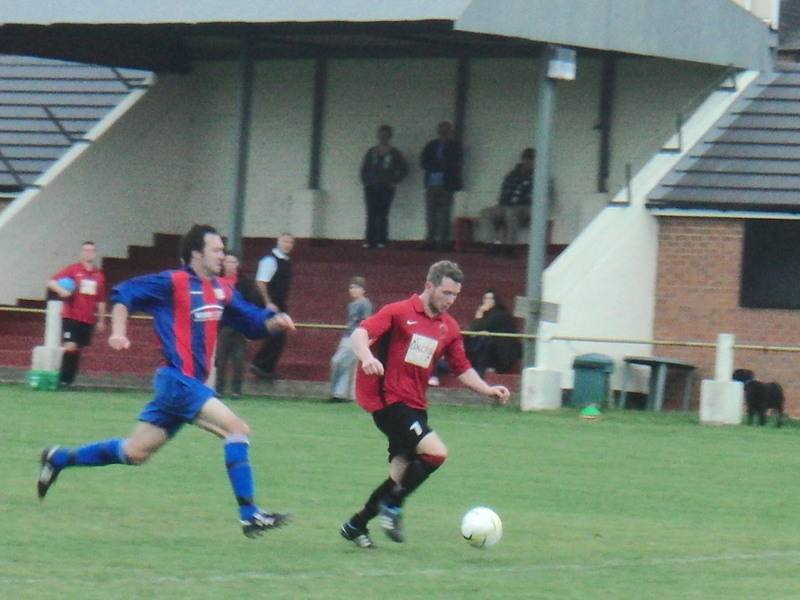 1 = Mark Temple and Gavin Crowther up for the corner. 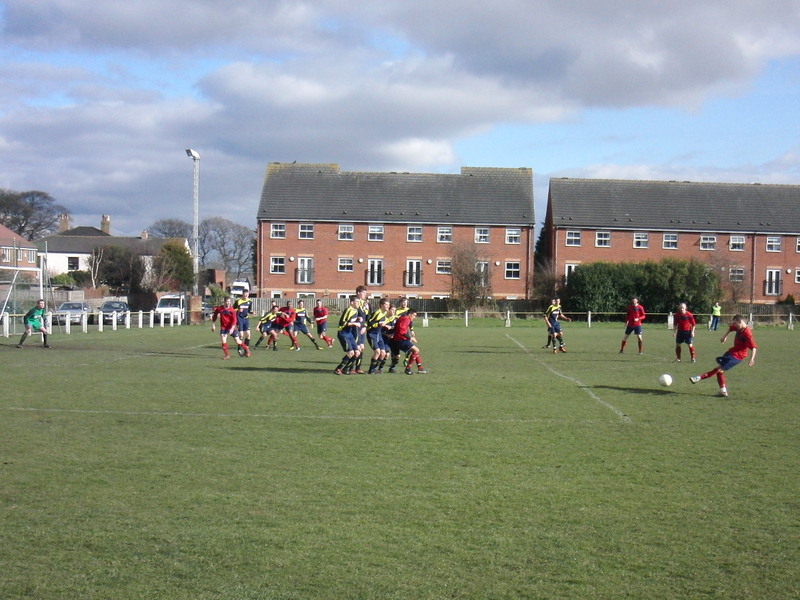 4 = Goal line defending from Hood. 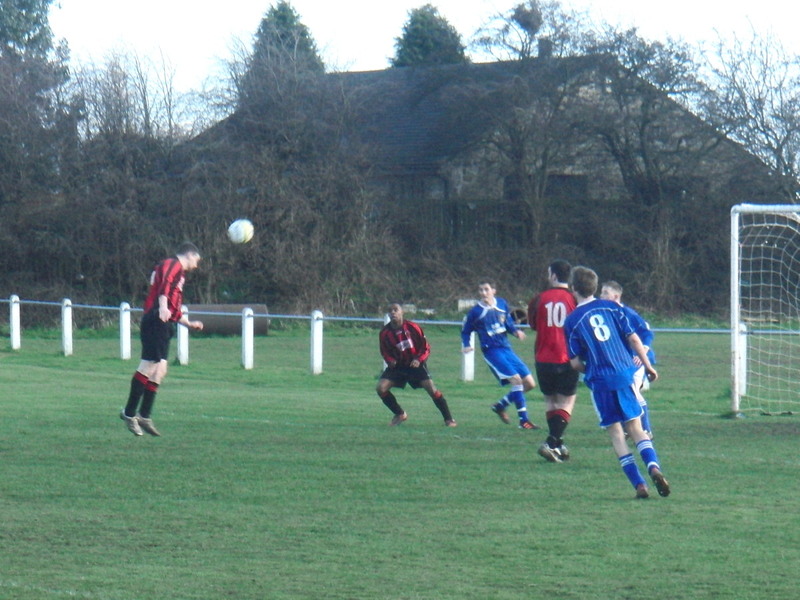 5 = A Robin Hood free kick. 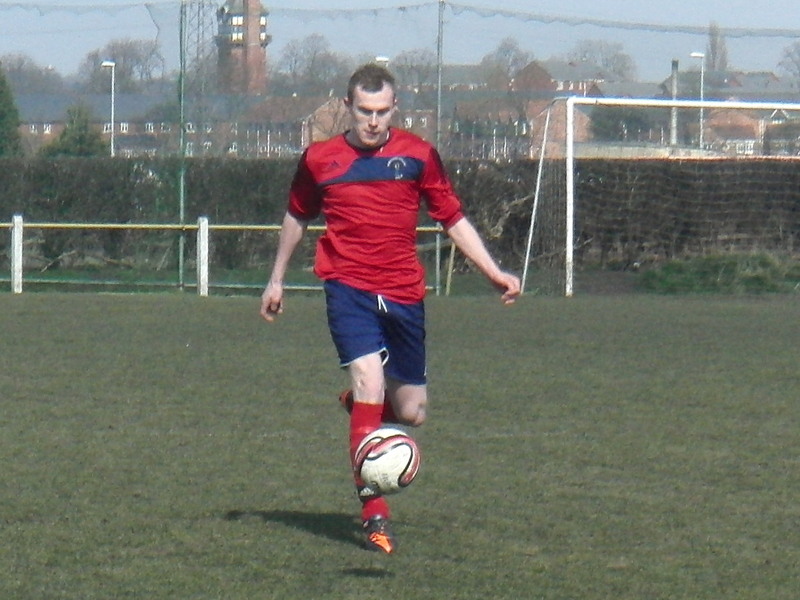 6 = Gavin Crowther secures the points. 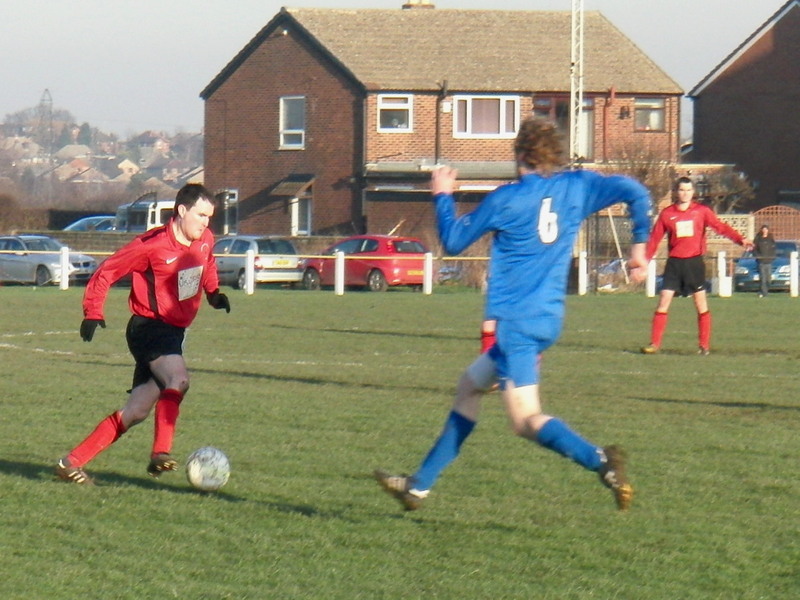 1 = Jordan Stafford taking on the Kellingley defence. 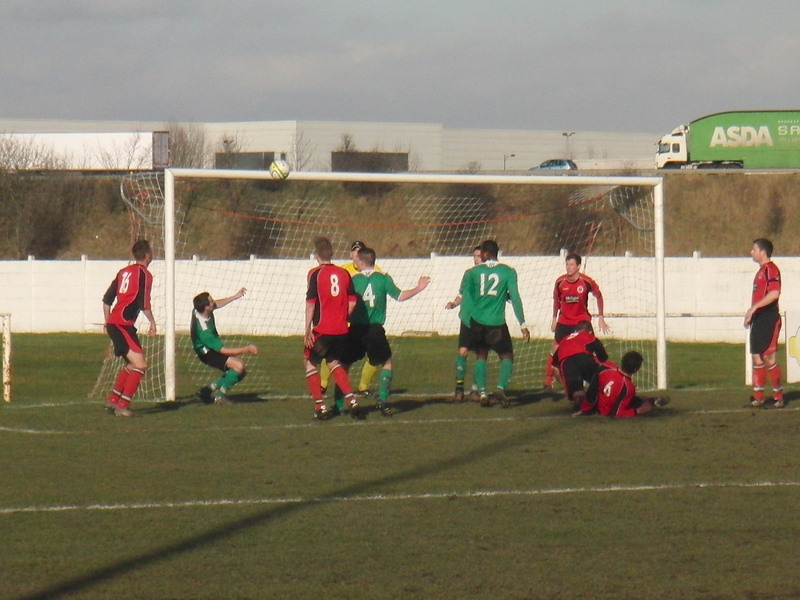 3 = Lee Jaques scores from the spot. 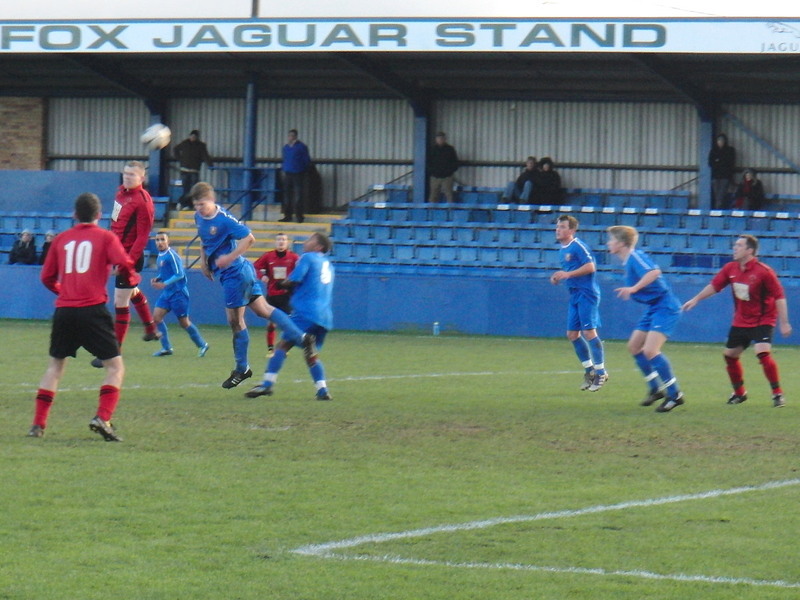 4 = Ball control from Byron Spink. 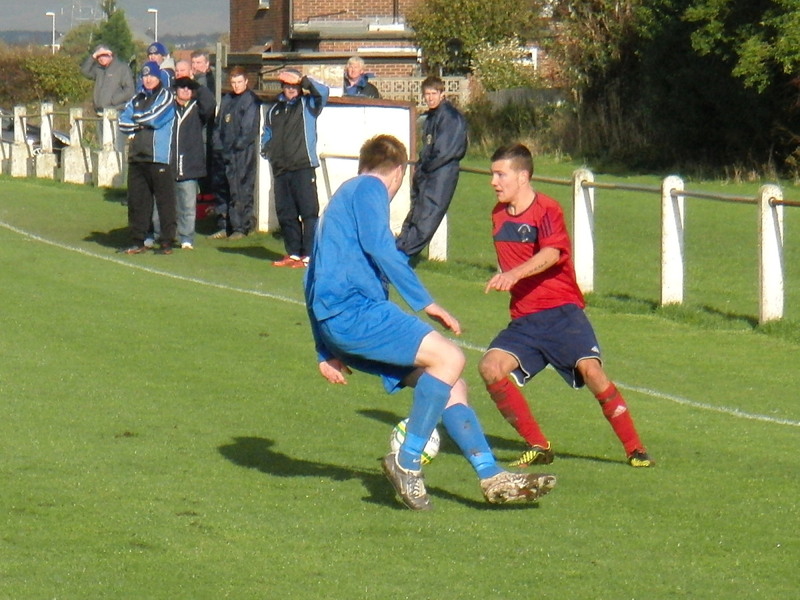 1 = Gavin Crowther takes them on. 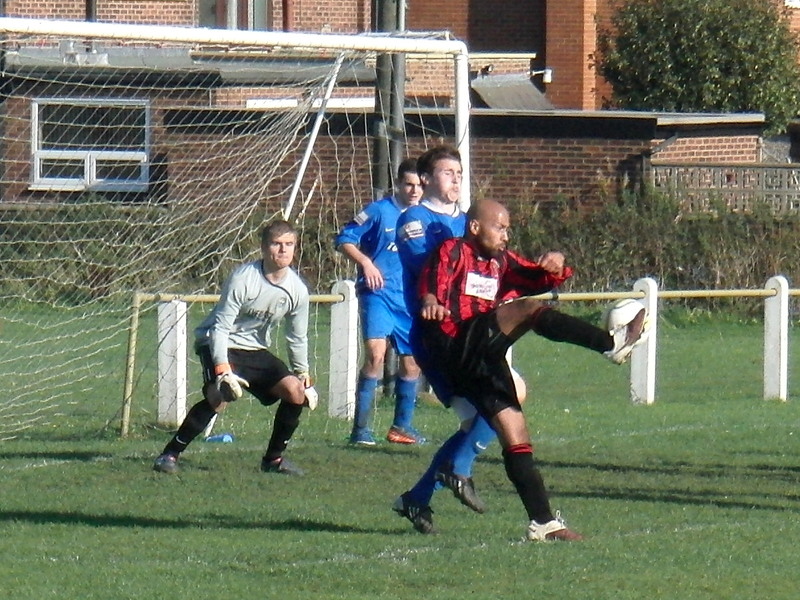 2 = .Kris Robertshaw defends a corner. 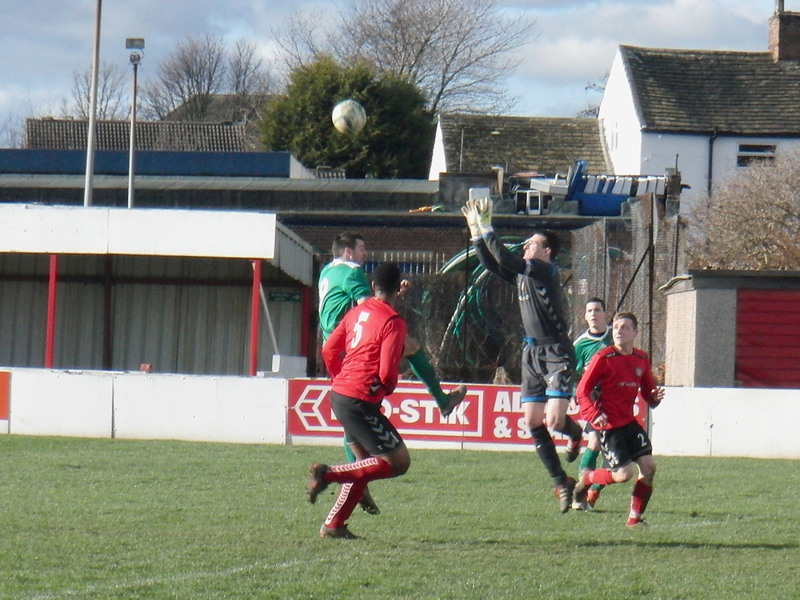 3 = Stand on keeper Chris Brown saves a penalty!